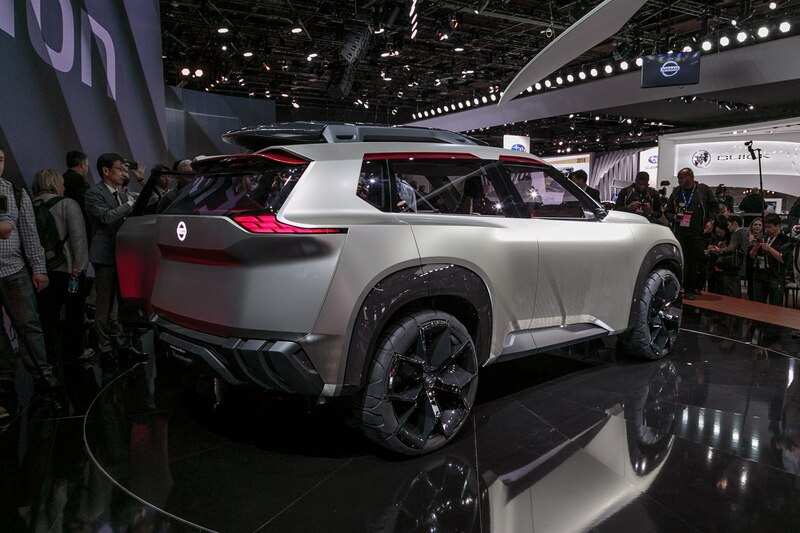 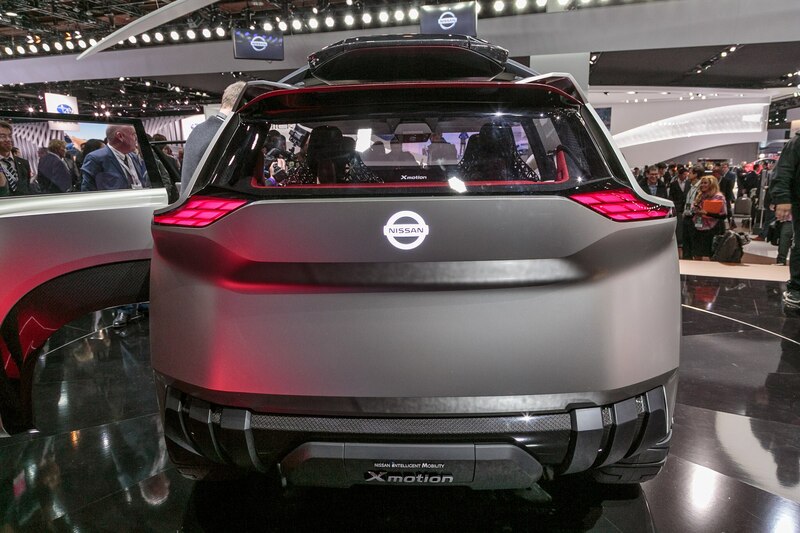 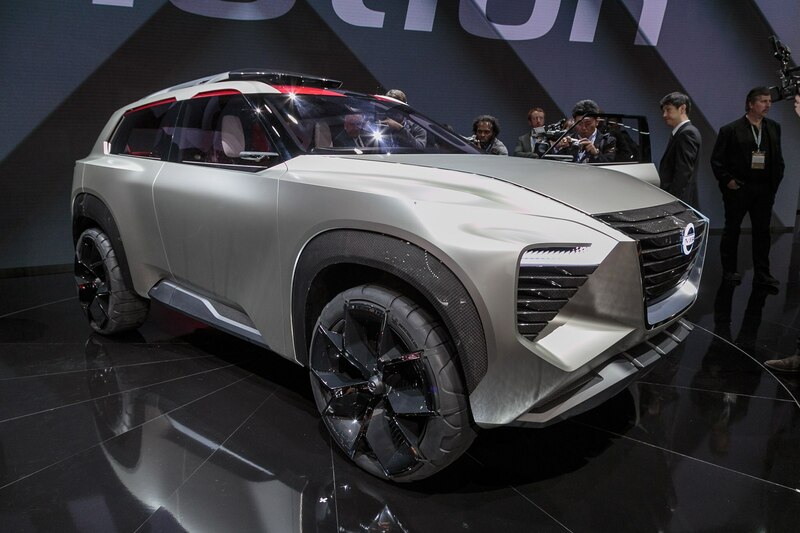 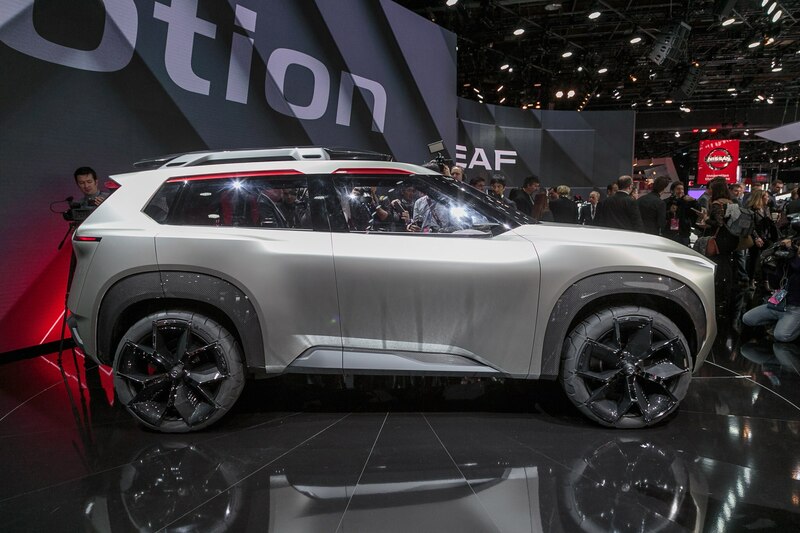 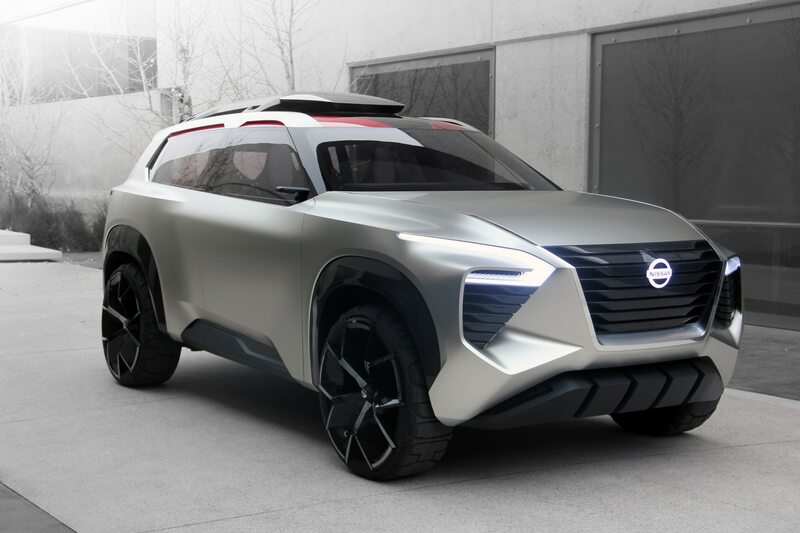 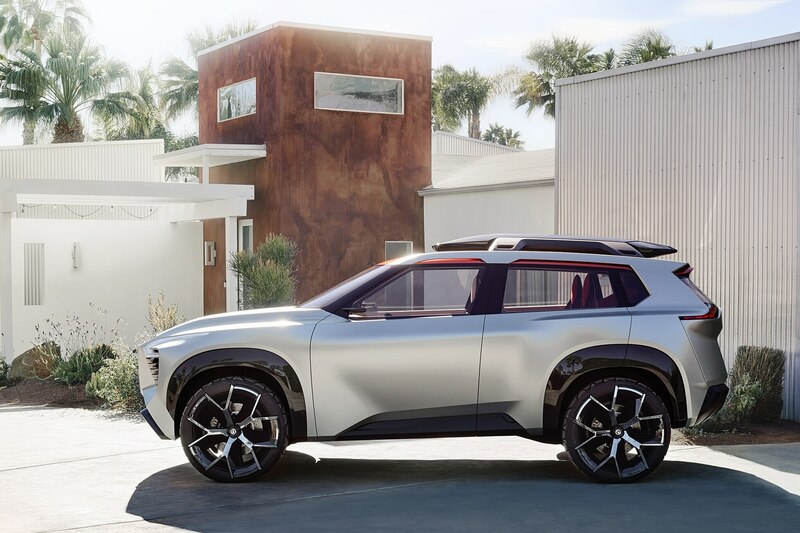 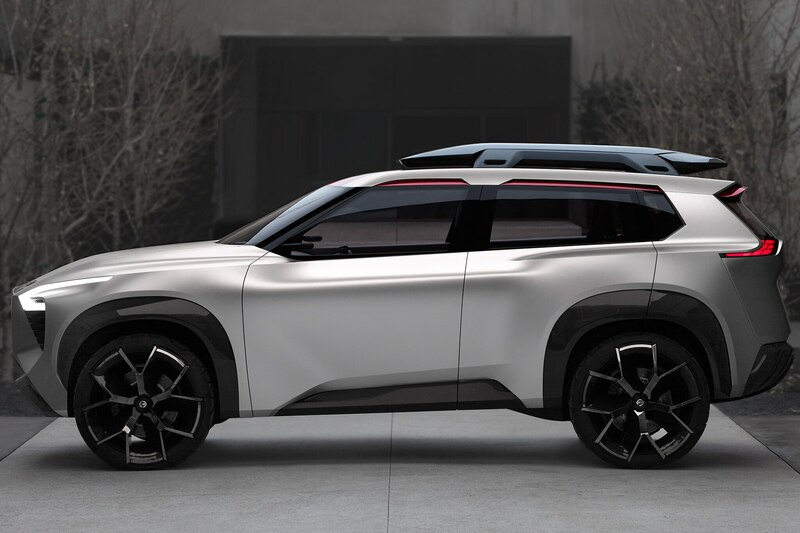 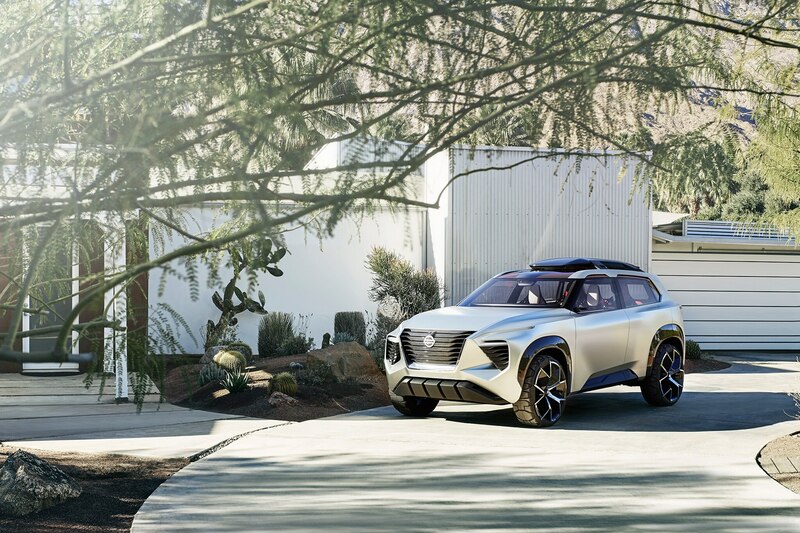 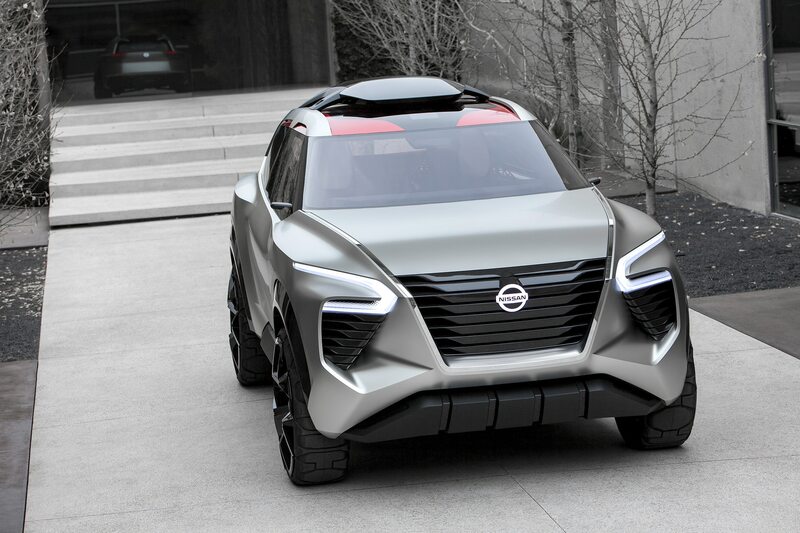 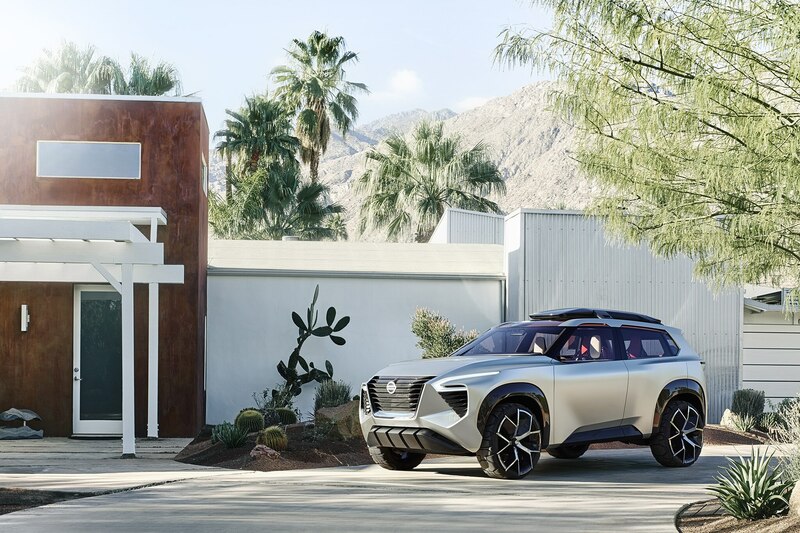 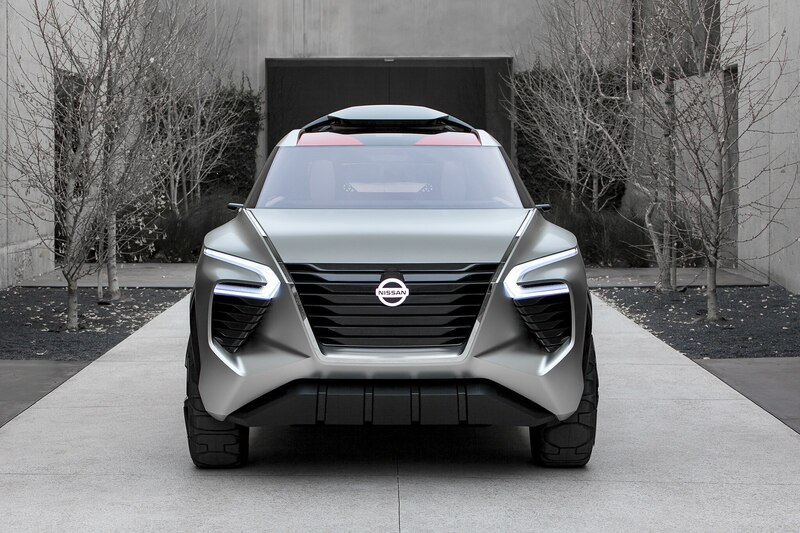 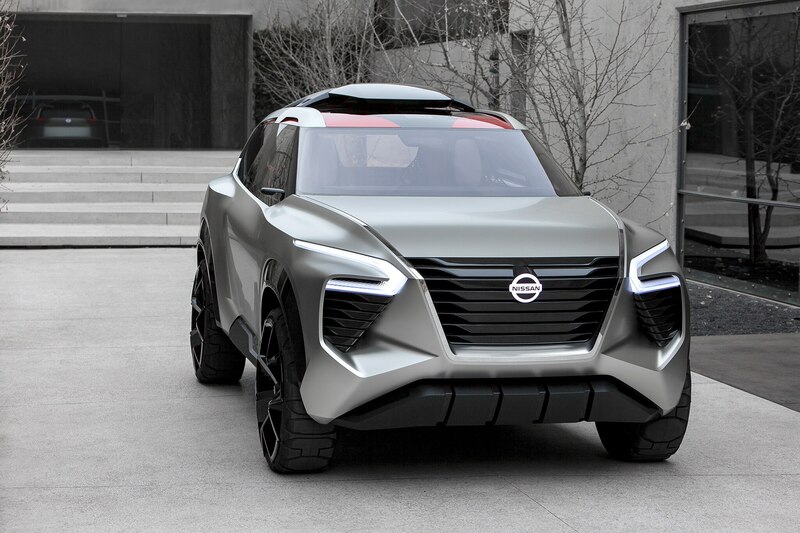 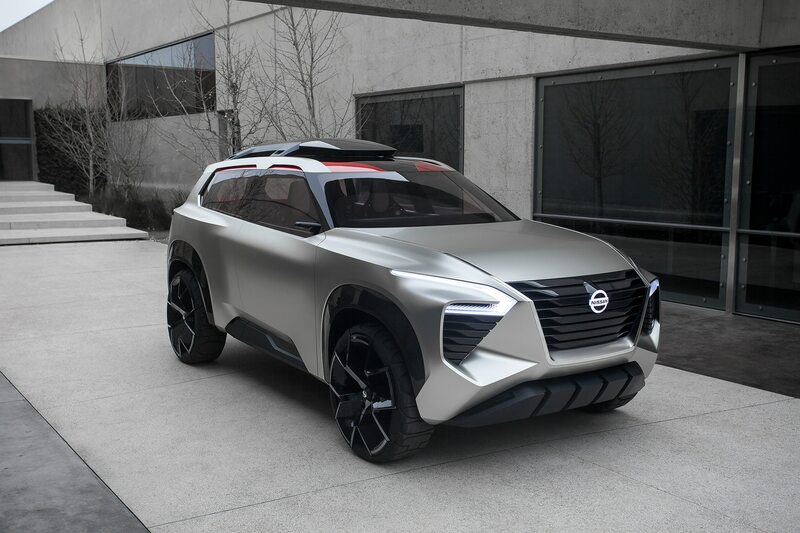 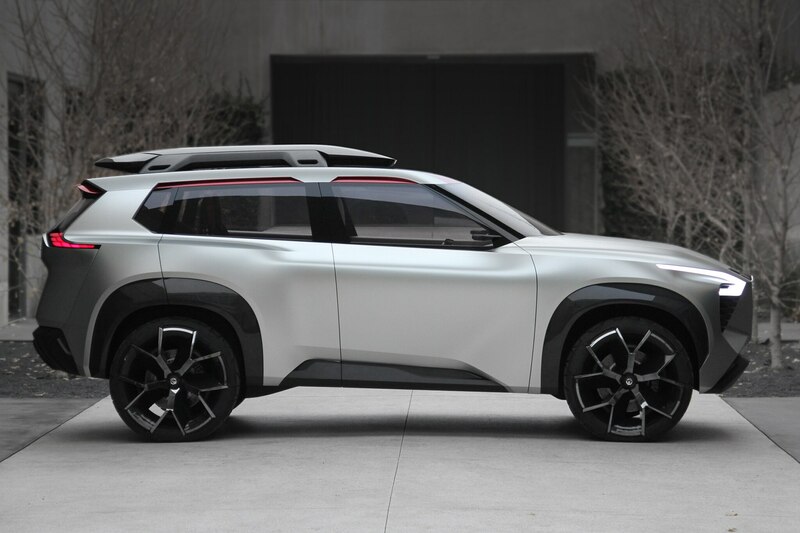 At the 2018 Detroit auto show, Nissan introduced the Xmotion Concept, a small SUV that previews the future design direction of the automaker’s crossovers. 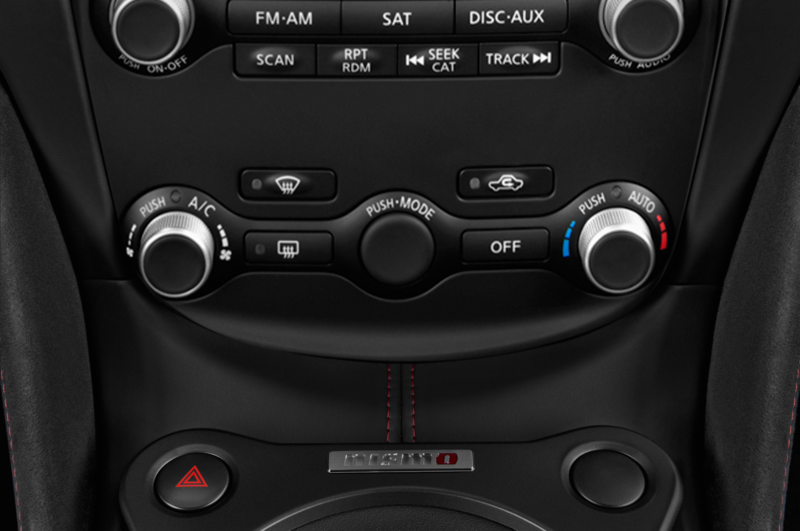 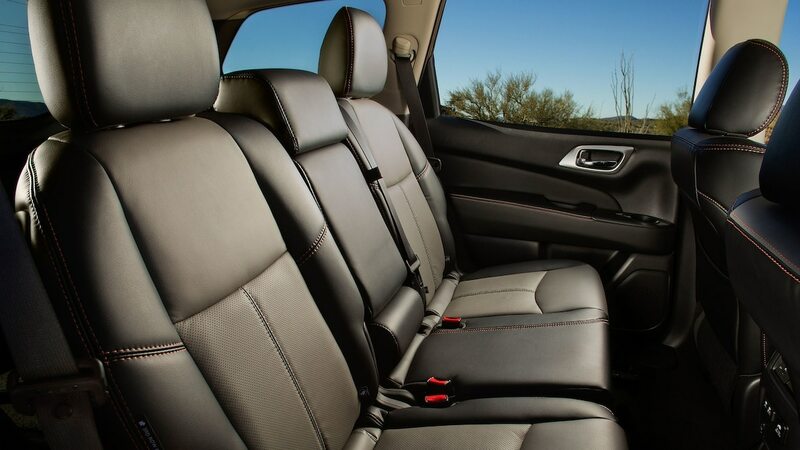 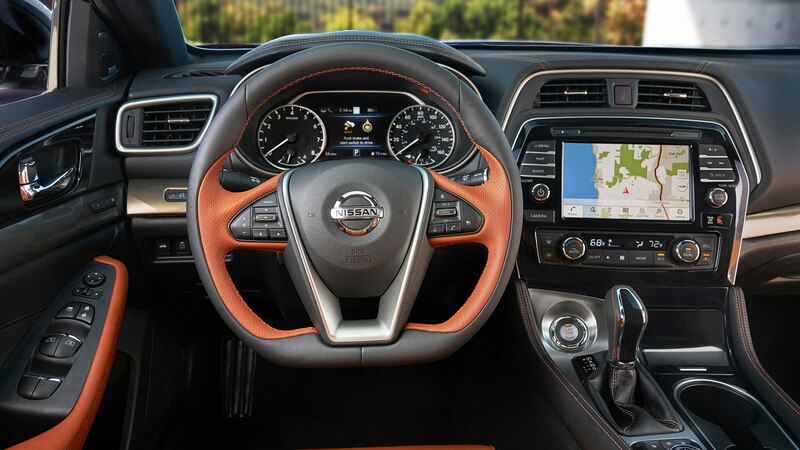 It also features an assortment of advanced driver assistance tech and a trick multimedia system with a personal assistant feature. 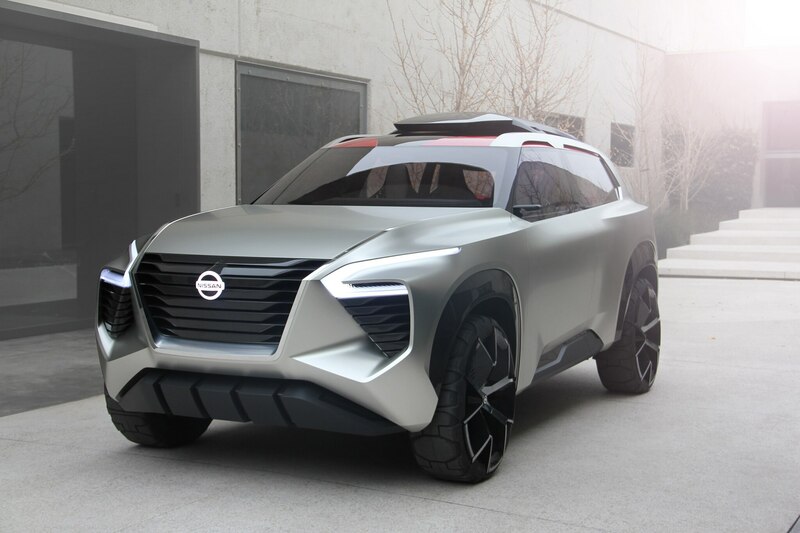 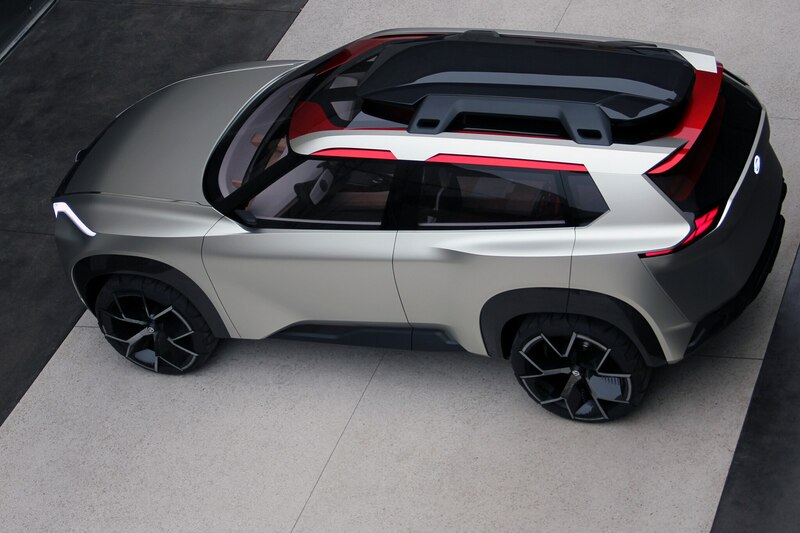 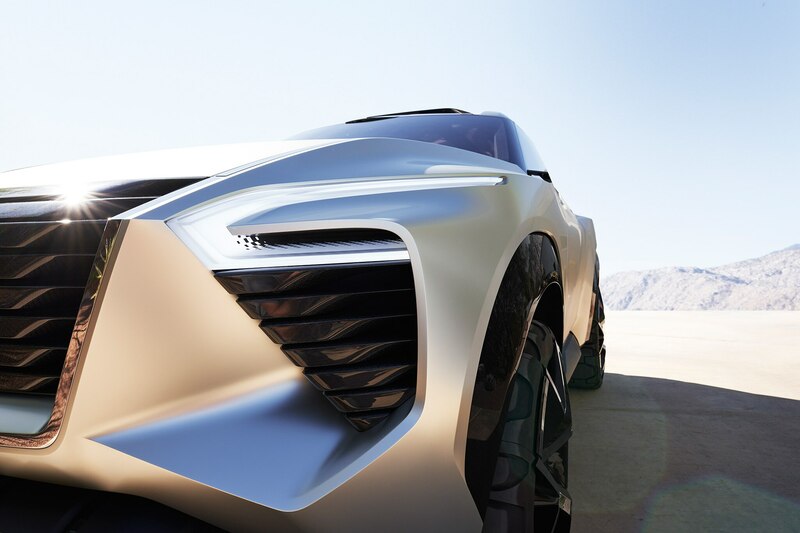 Alfonso Albaisa, senior vice president of global design at Nissan says that the wedge-shaped Xmotion Concept draws inspiration from Japanese aesthetics and heritage to give utility vehicles more unique look and blend it with modern technology. 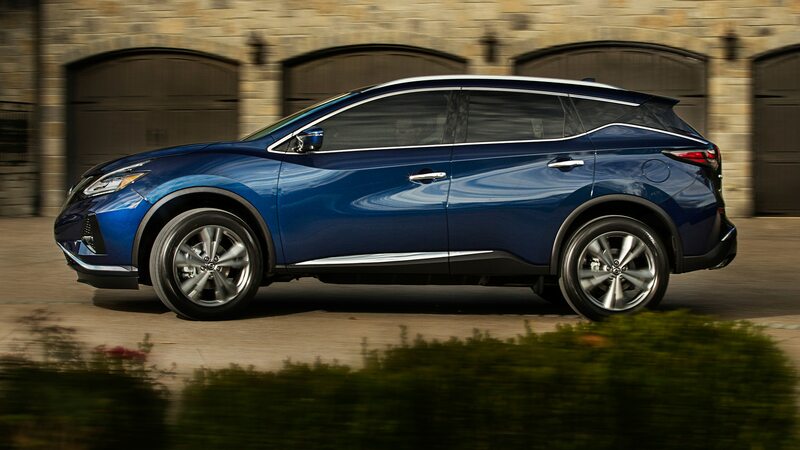 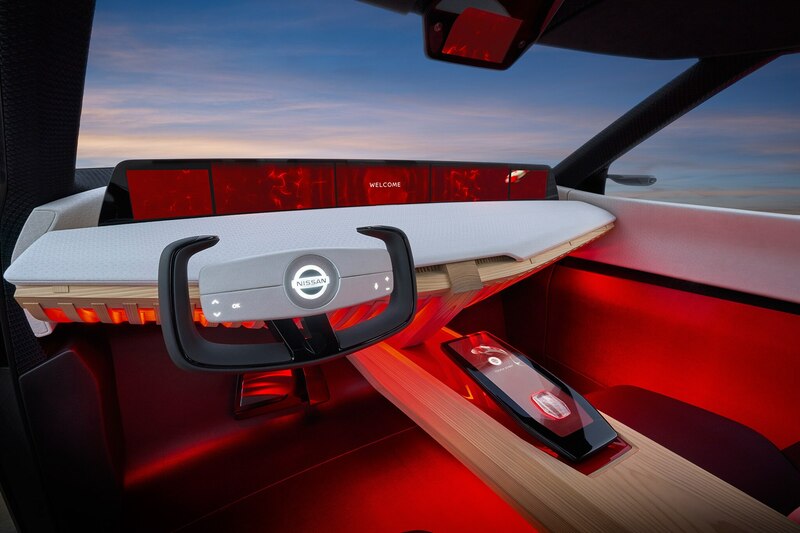 It features key autonomous and semi-autonomous driving tech like Nissan’s ProPilot Assist system. 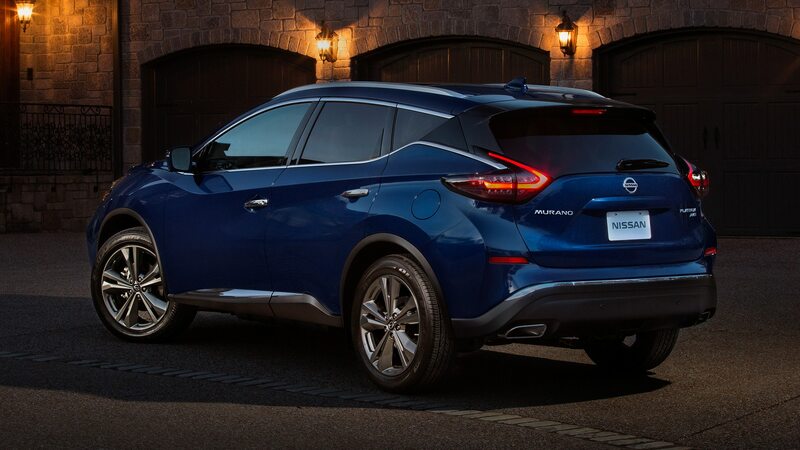 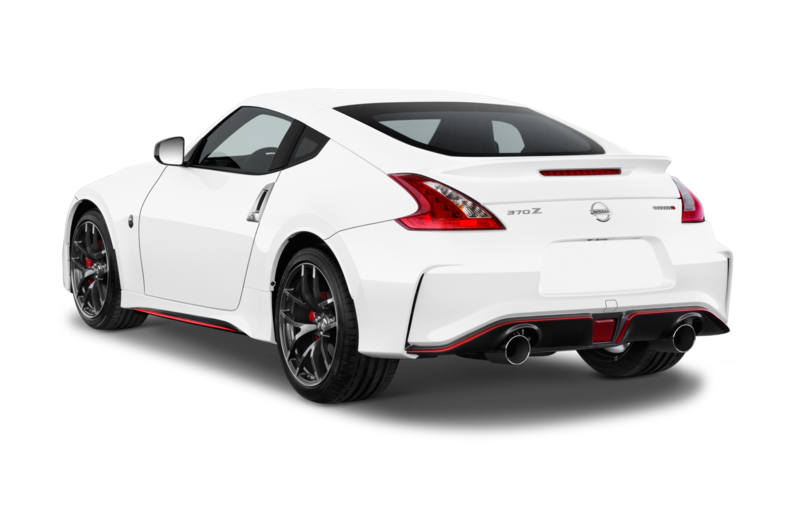 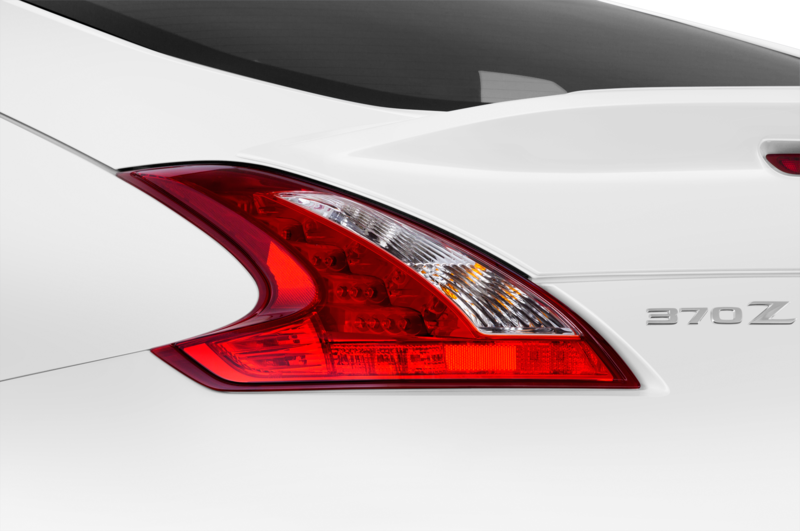 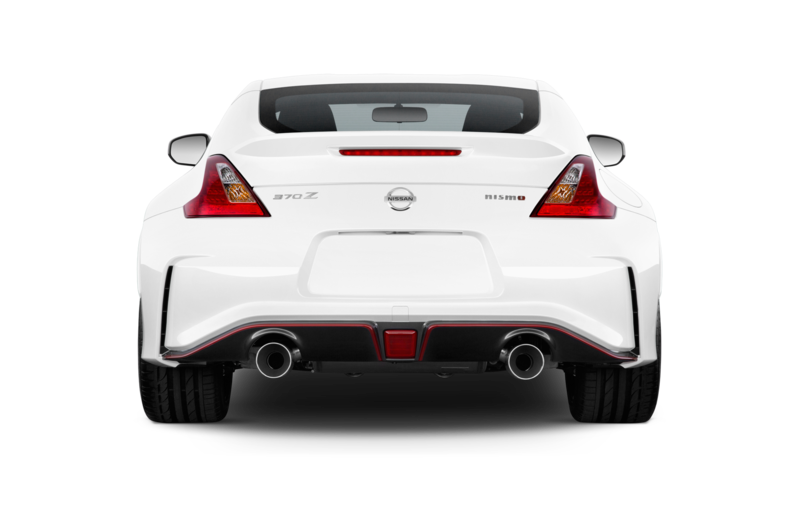 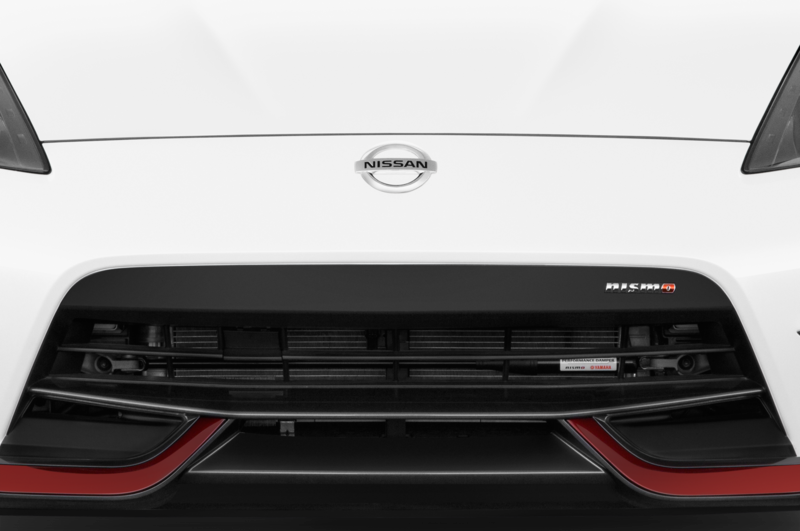 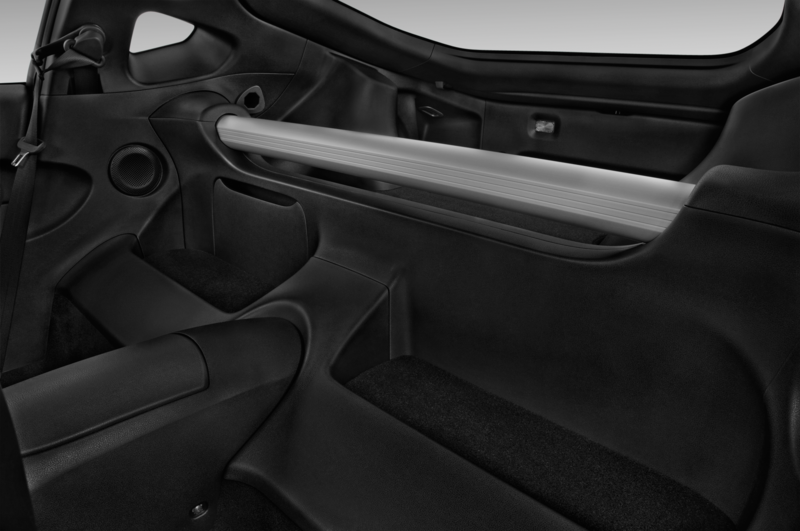 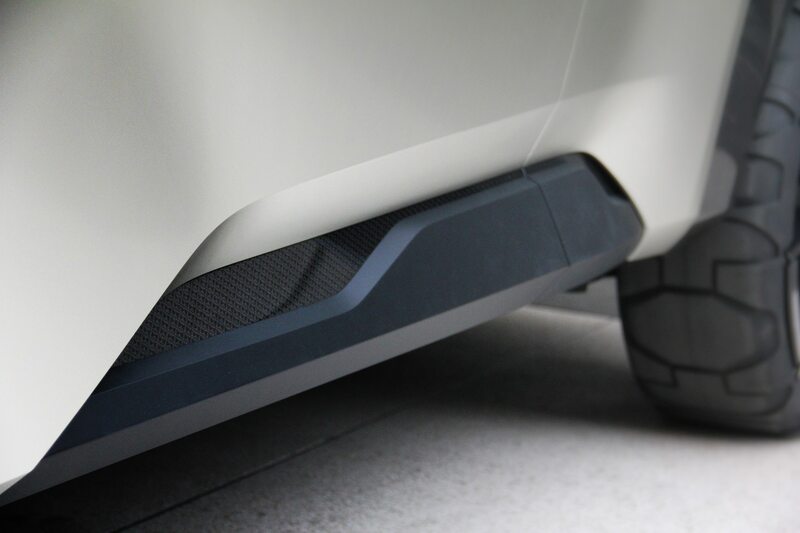 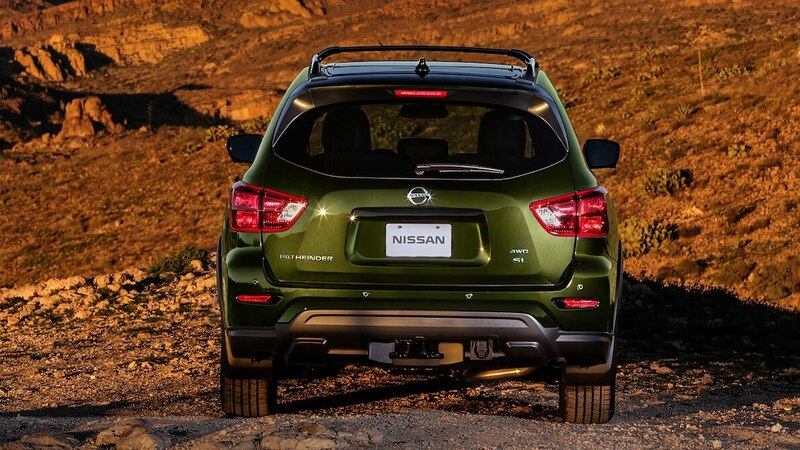 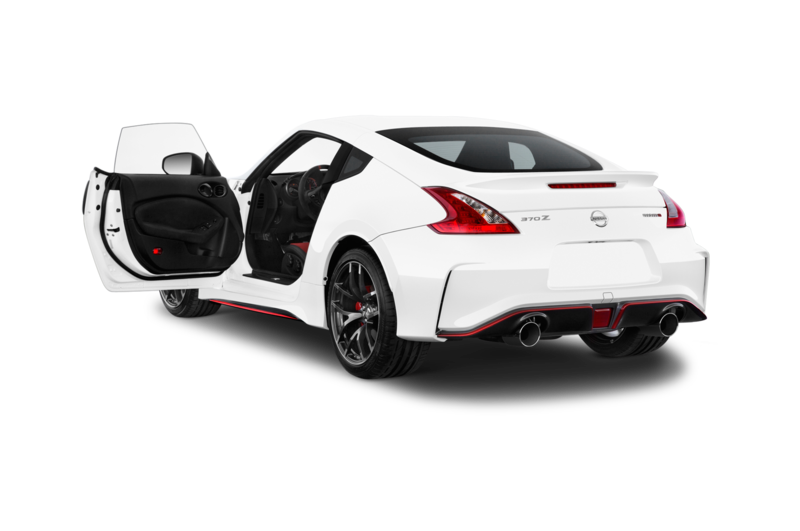 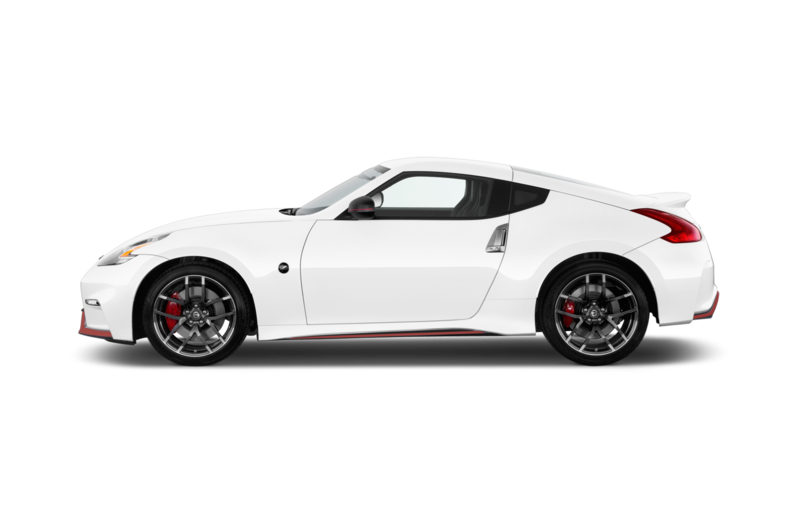 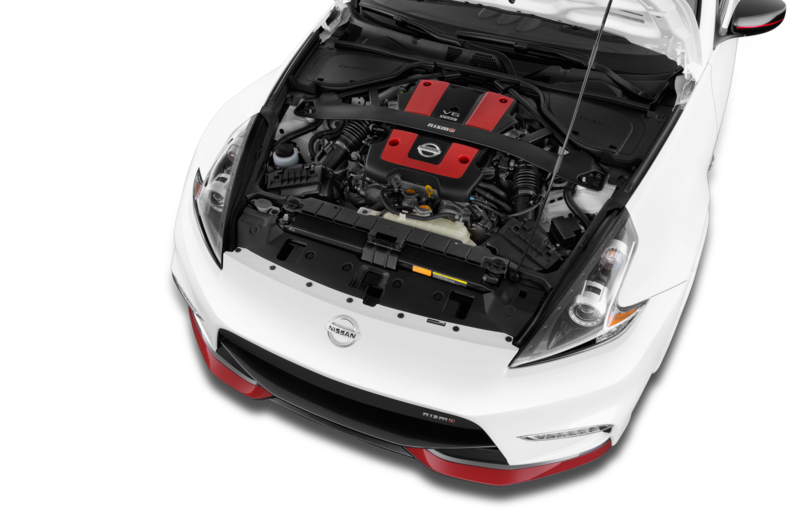 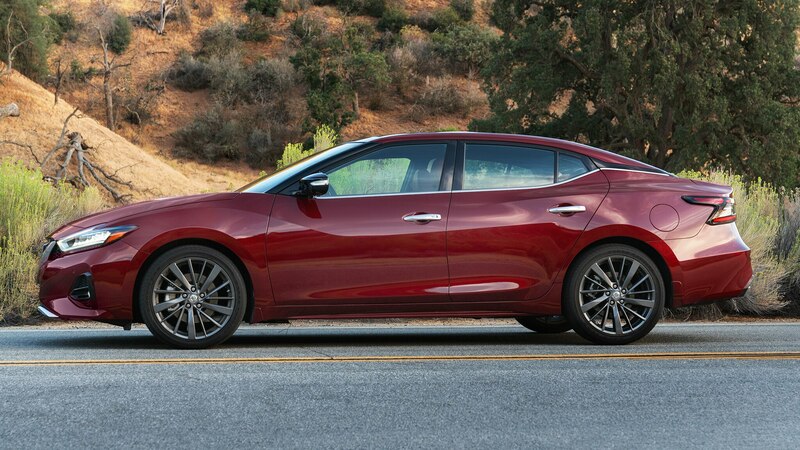 Exterior design cues include what Nissan calls a “protective armor” on the front and rear lower bumpers and side sills. 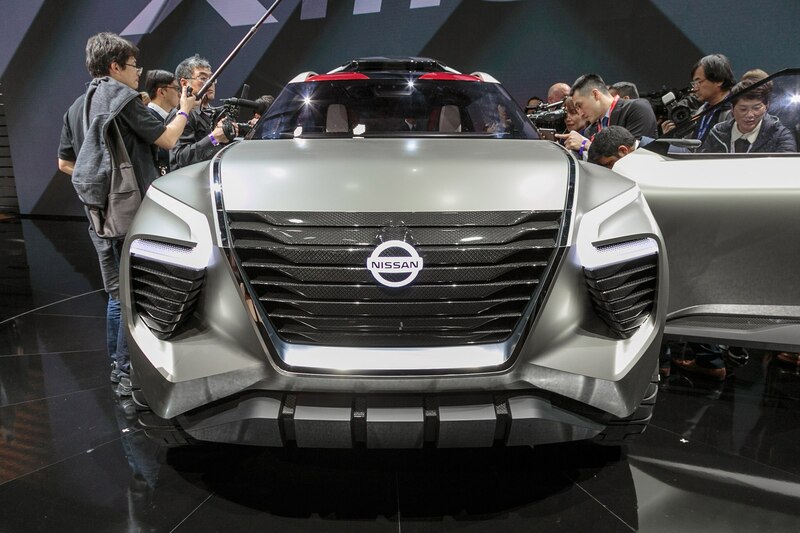 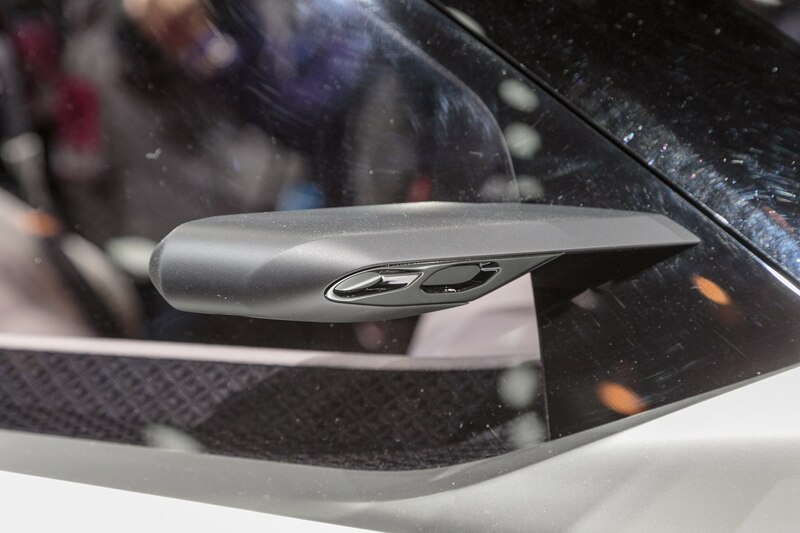 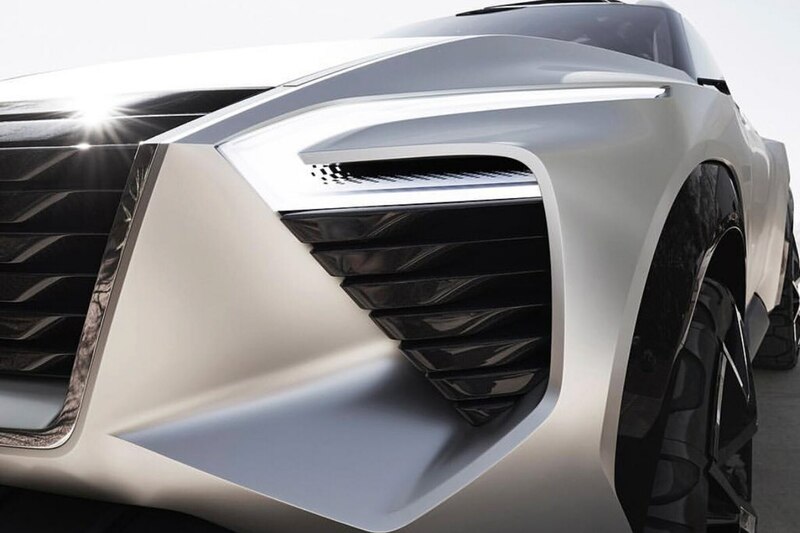 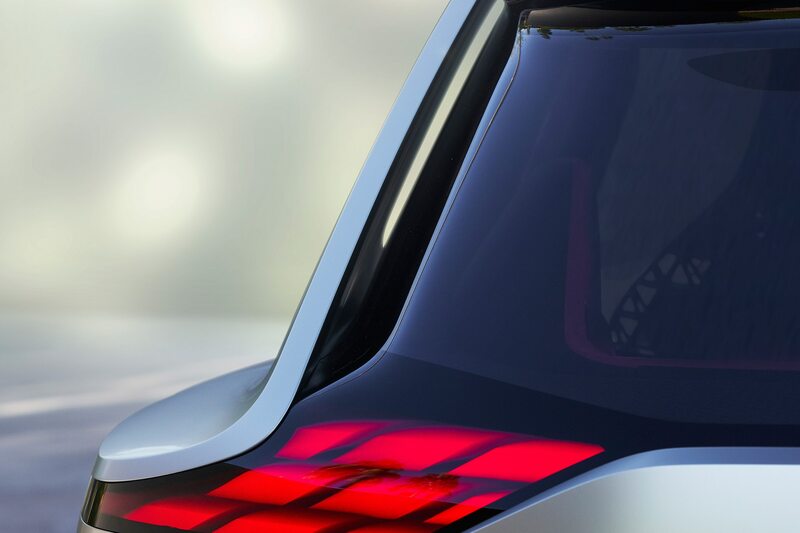 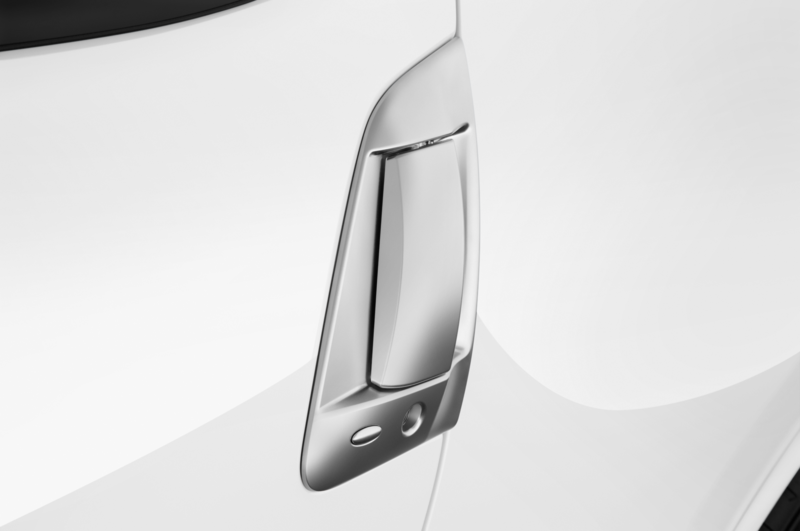 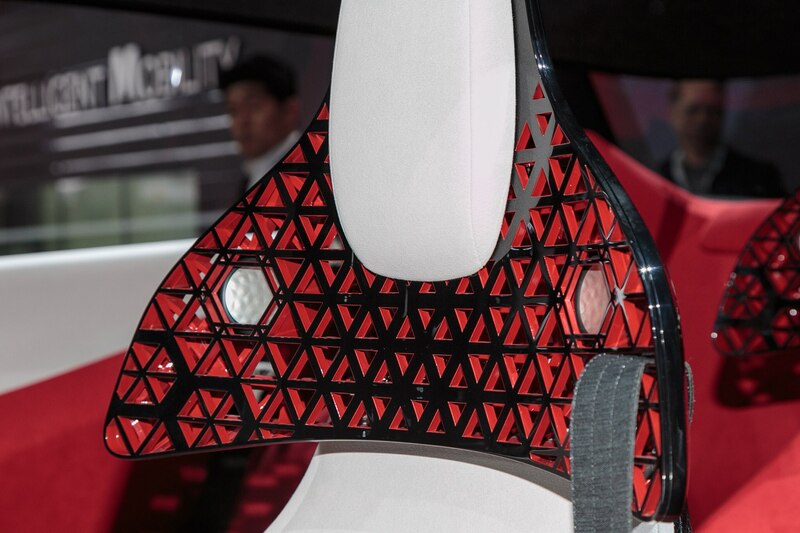 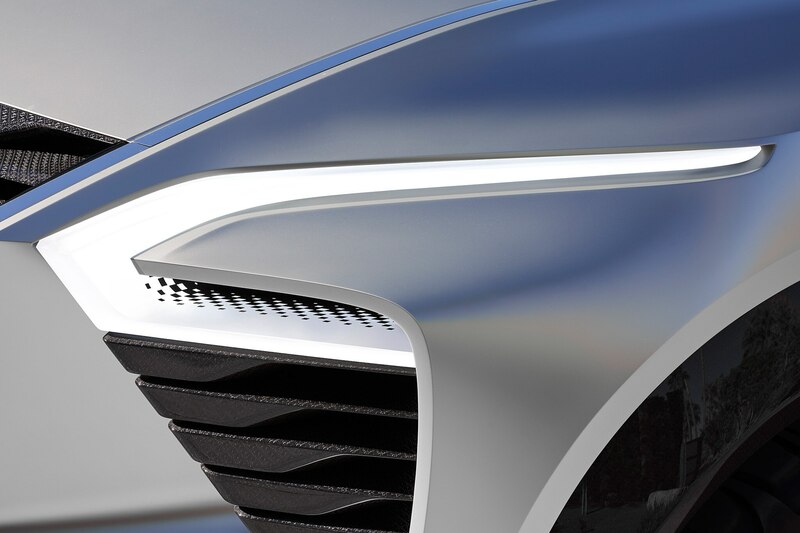 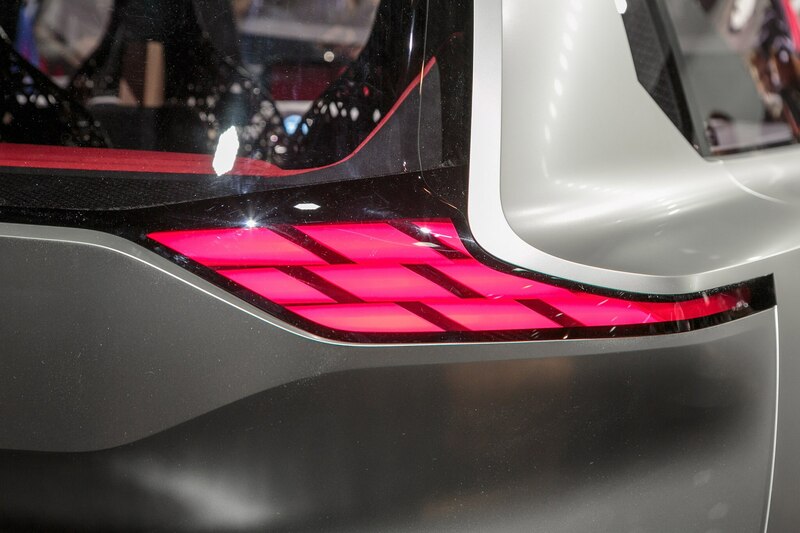 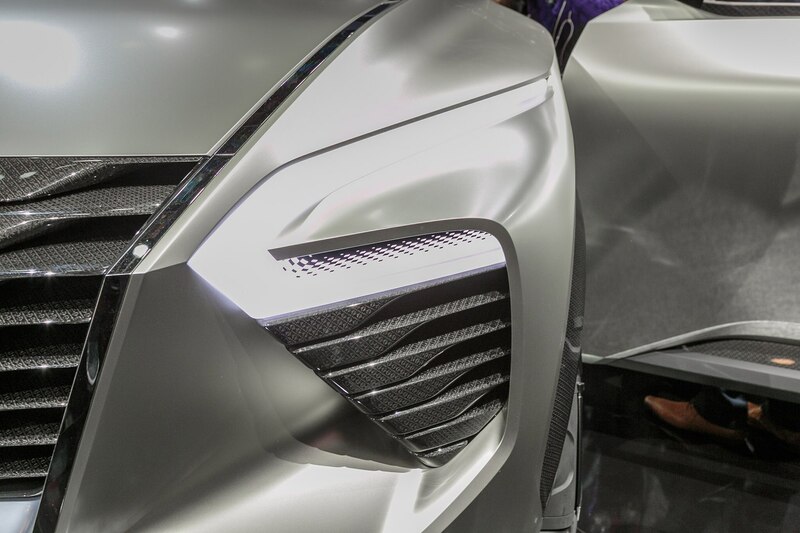 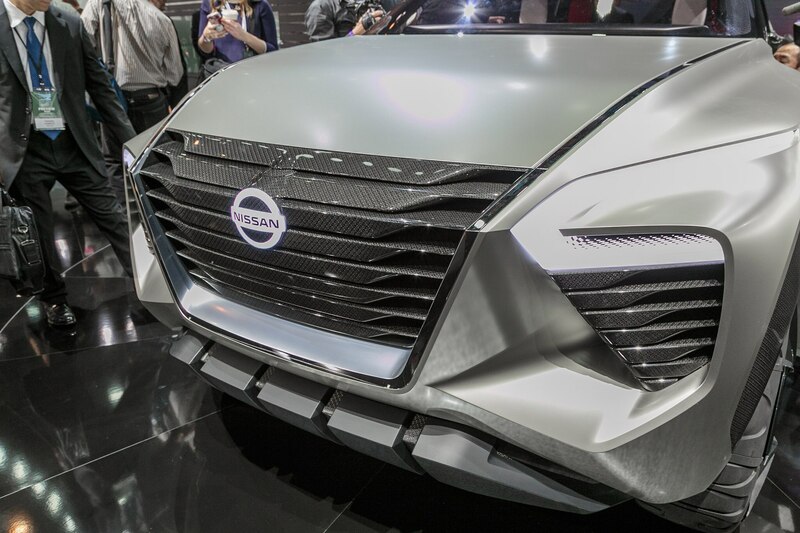 Key Nissan details are found throughout the Xmotion Concept’s exterior such as a new version of the automaker’s V-Motion grille that’s wider and deeper than in current production vehicles. 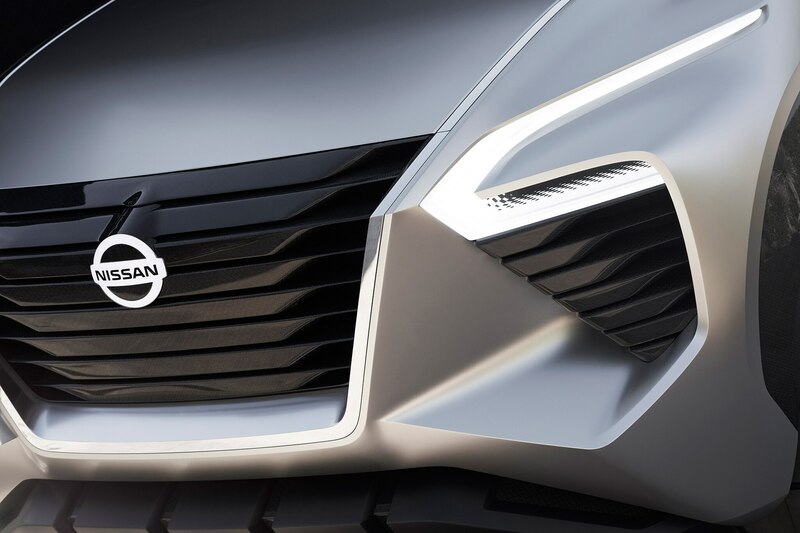 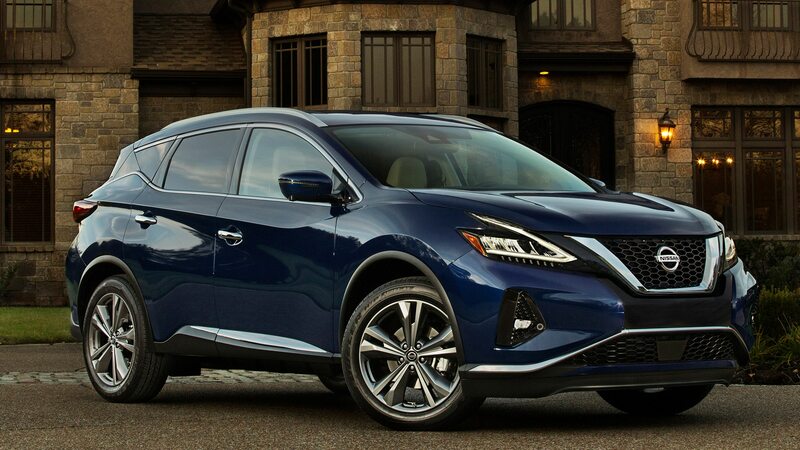 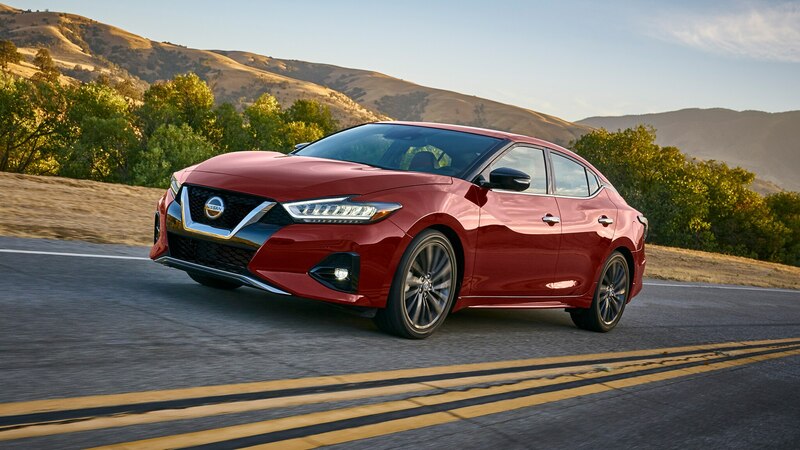 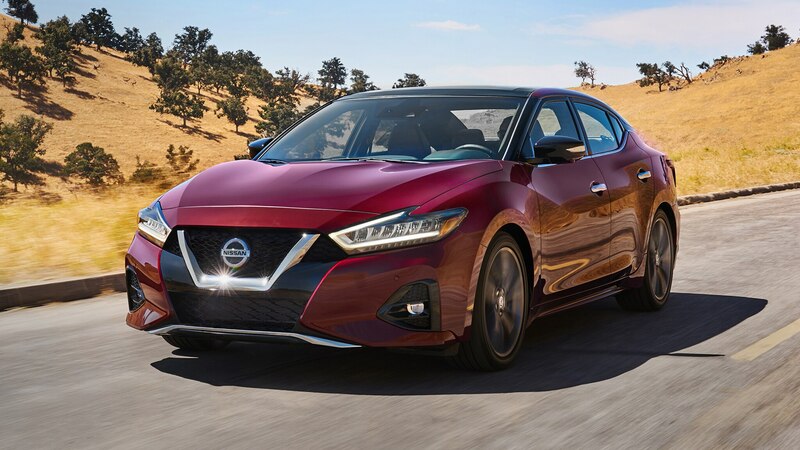 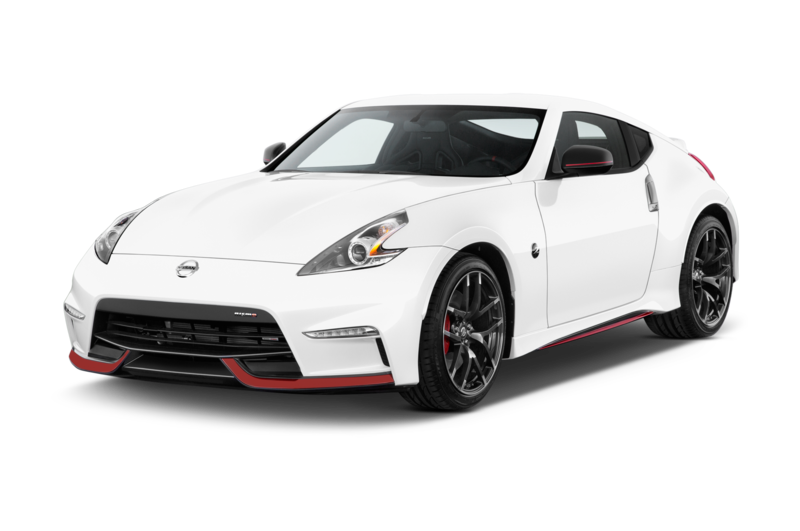 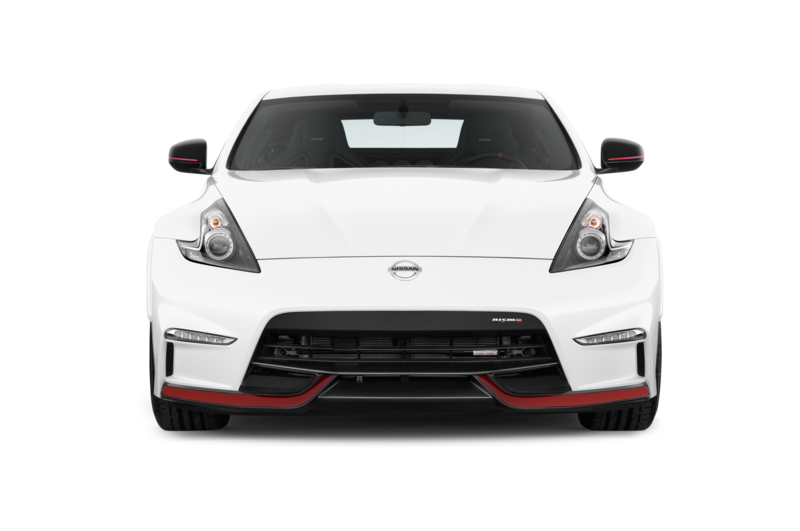 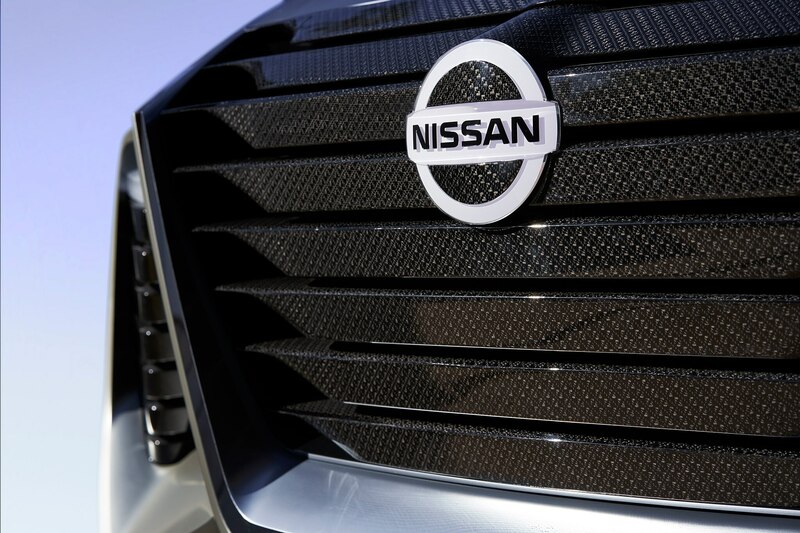 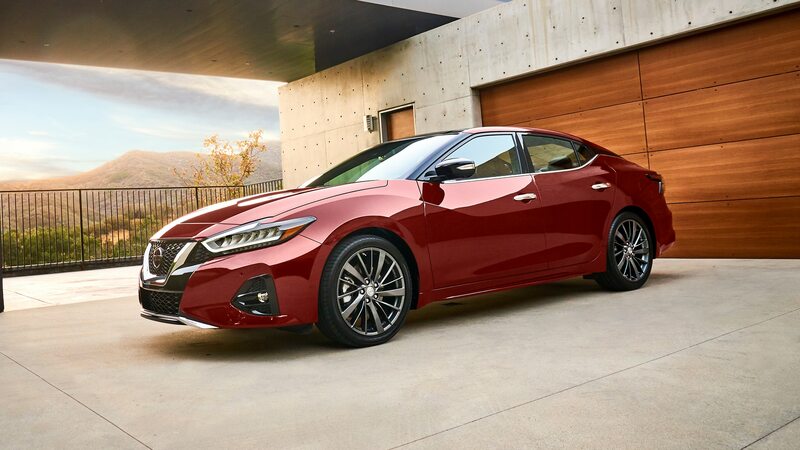 Horizontal bars, which Nissan says are inspired by Japanese architecture and appear in a blade-like lattice pattern, featuring a high gloss finish. 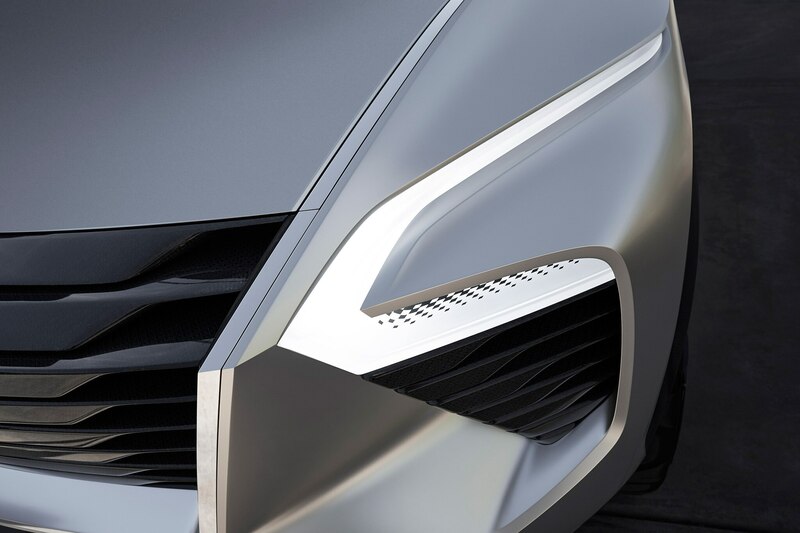 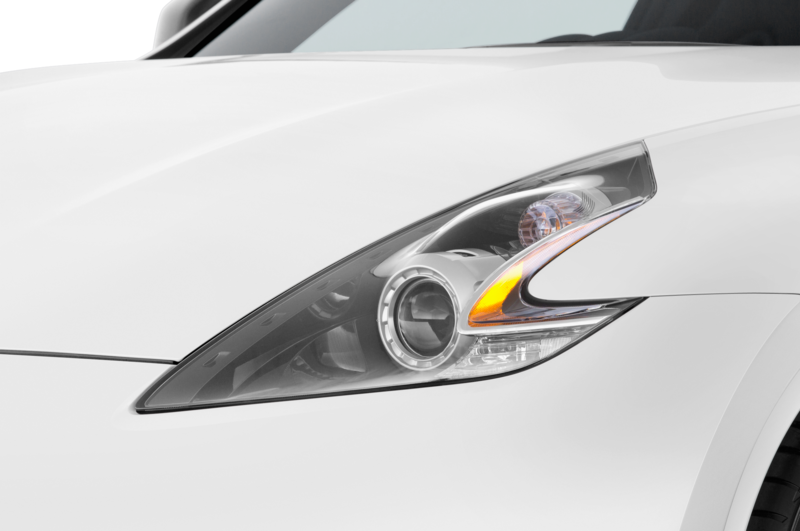 Continuing with the sharp edges theme, the boomerang-style headlights return and are meant to evoke forged steel blades and integrate low beams, high beams, turn signals, and positioning lights all into a single cluster. 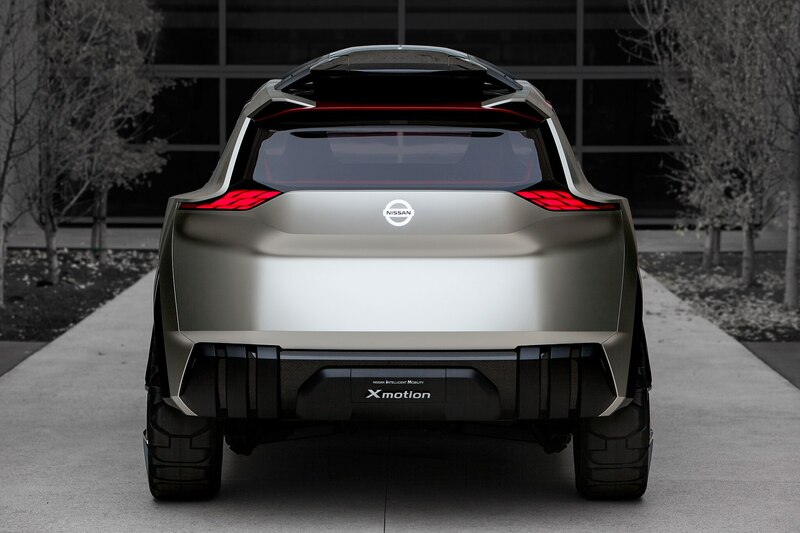 The Xmotion Concept’s rear end features a unique taillight design that Nissan says is inspired by kumiko woodwork and puzzles, and features an optical illusion made via a hologram. 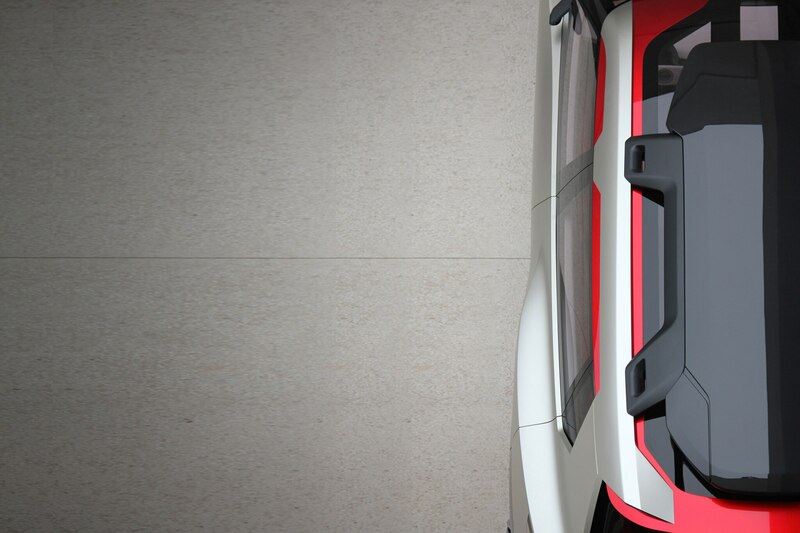 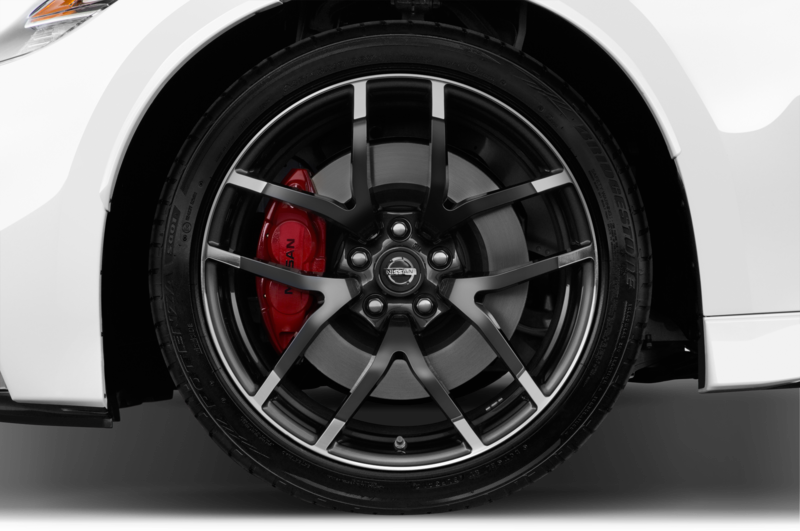 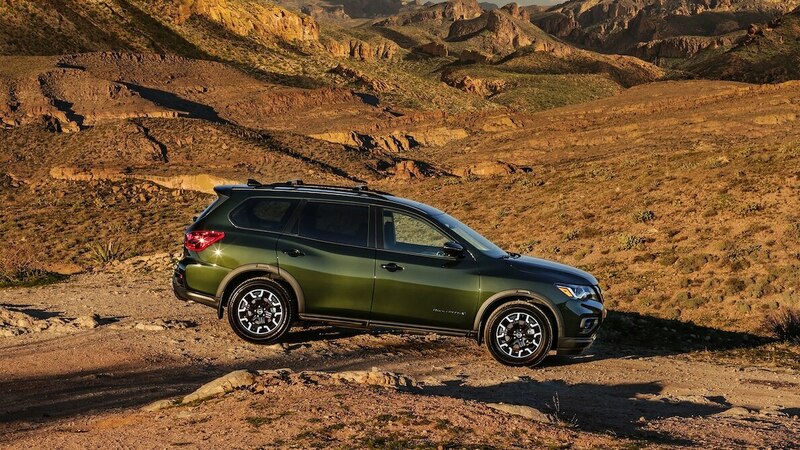 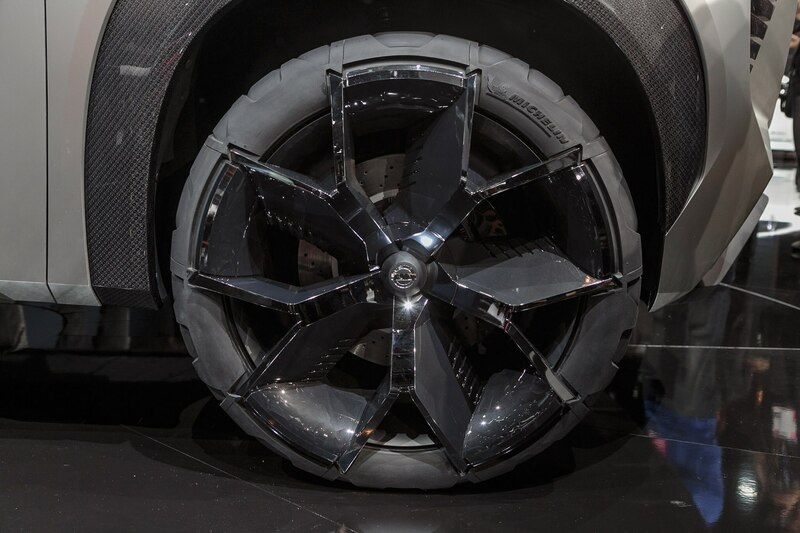 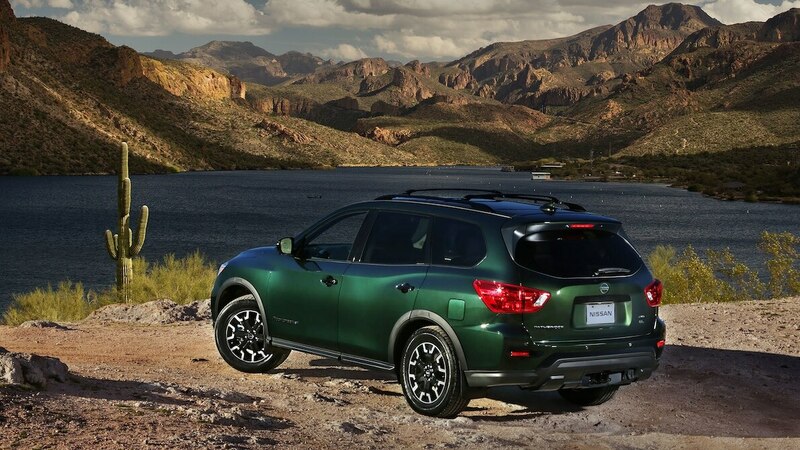 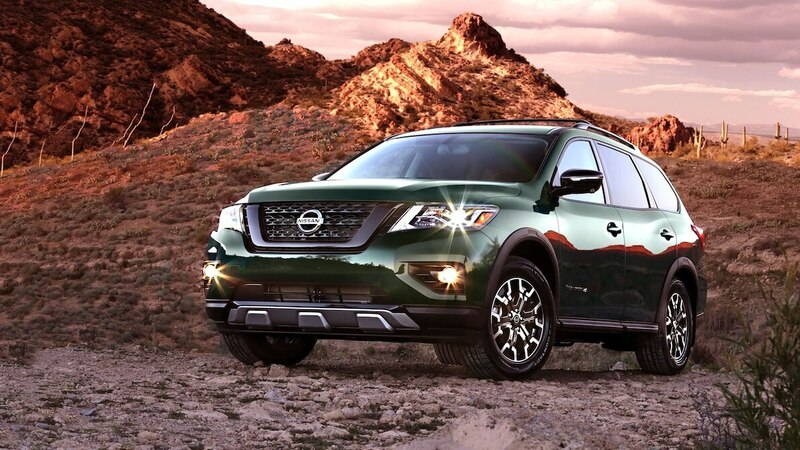 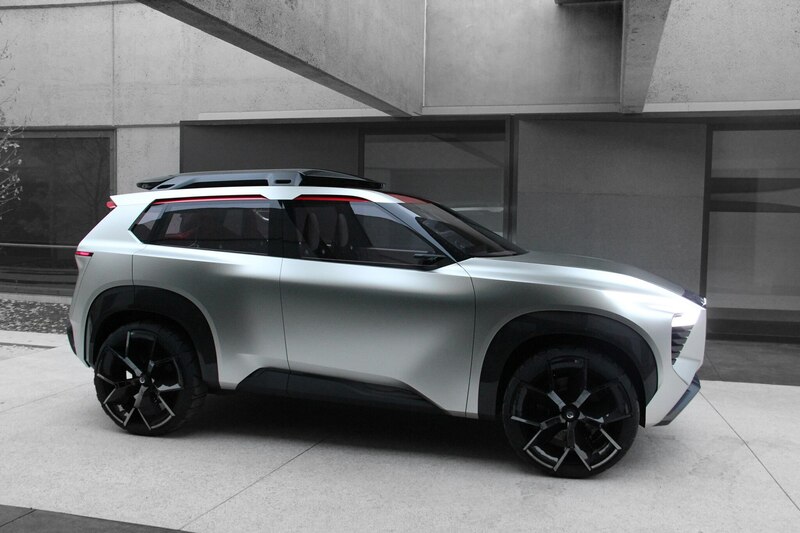 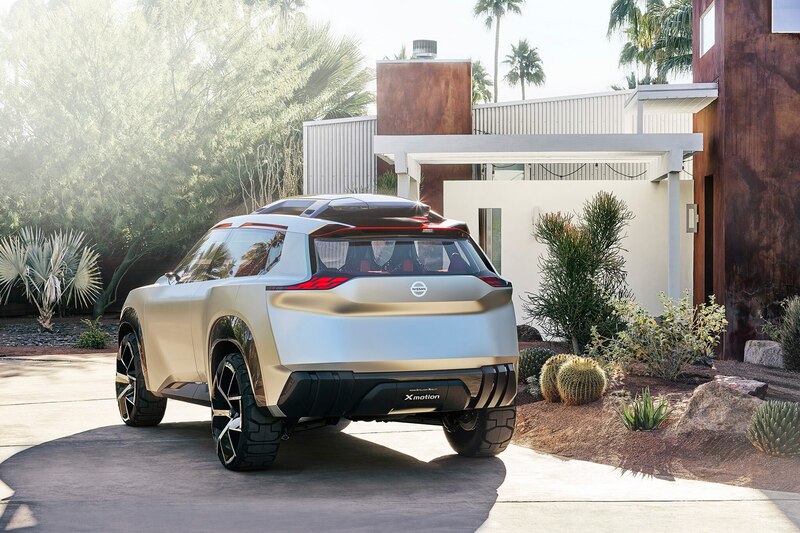 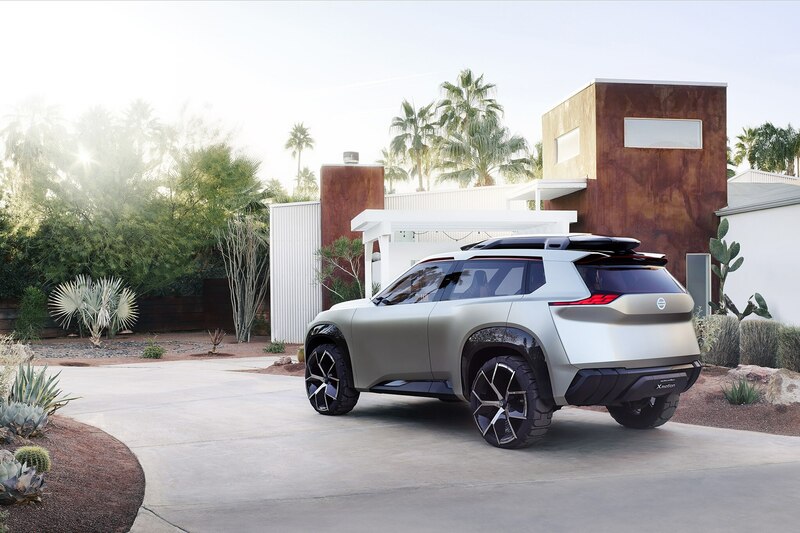 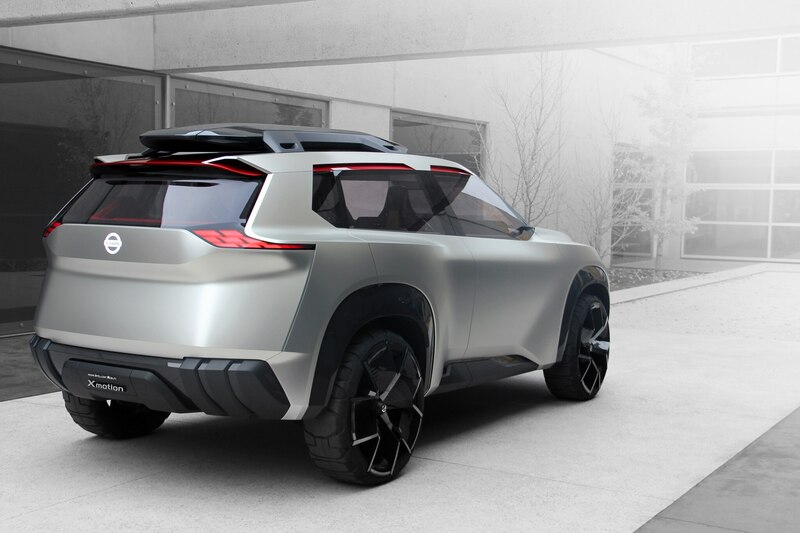 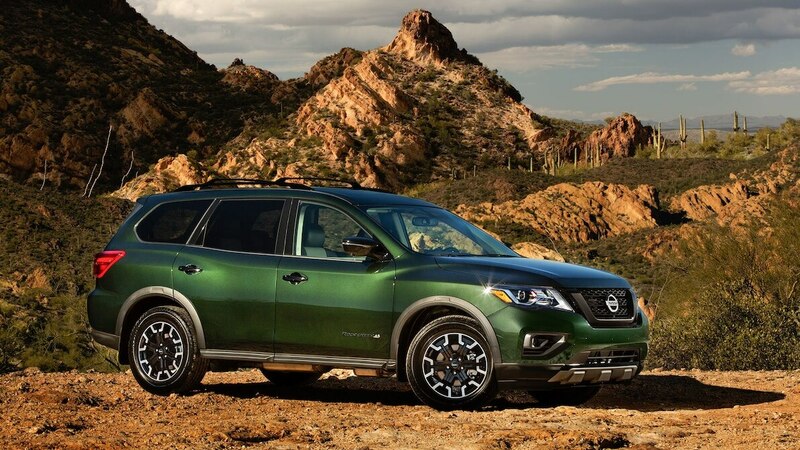 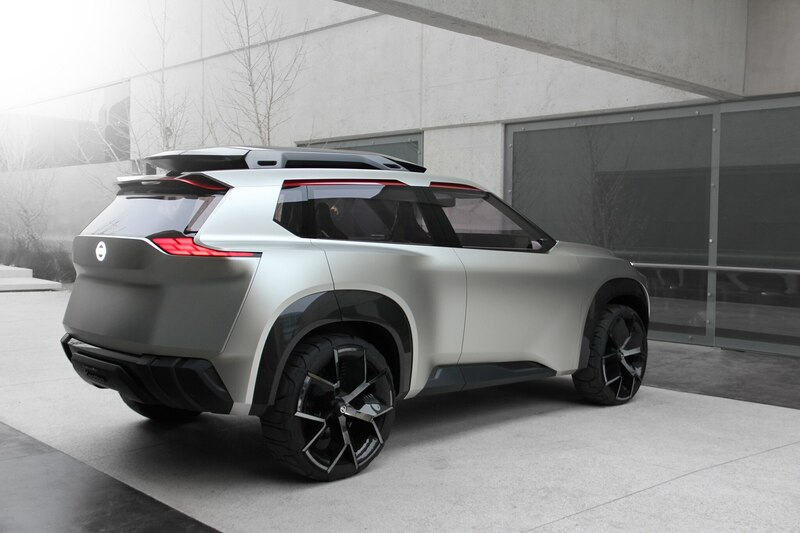 The Nissan Xmotion Concept features a rugged appearance thanks to its 21-inch alloy wheels and all-terrain tires. 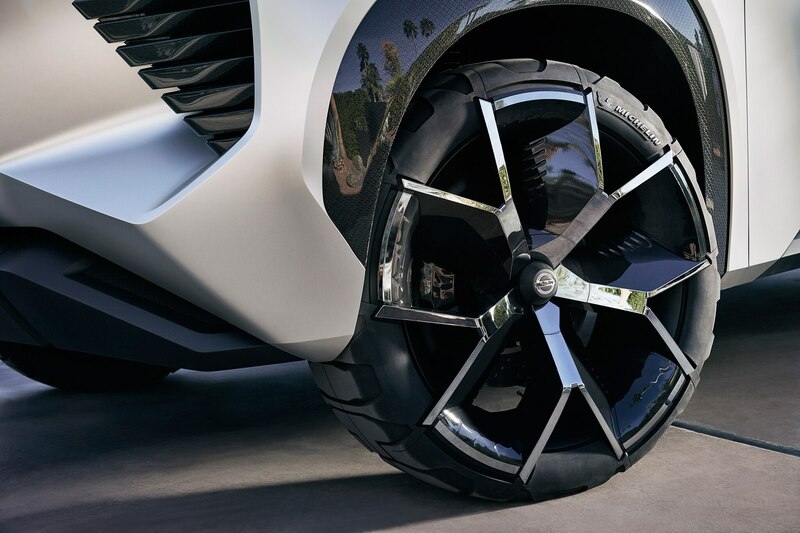 Its alloy wheels also feature a design effect that make it look like the wheels and tires are one, which in turn makes the rims look bigger than they actually are. 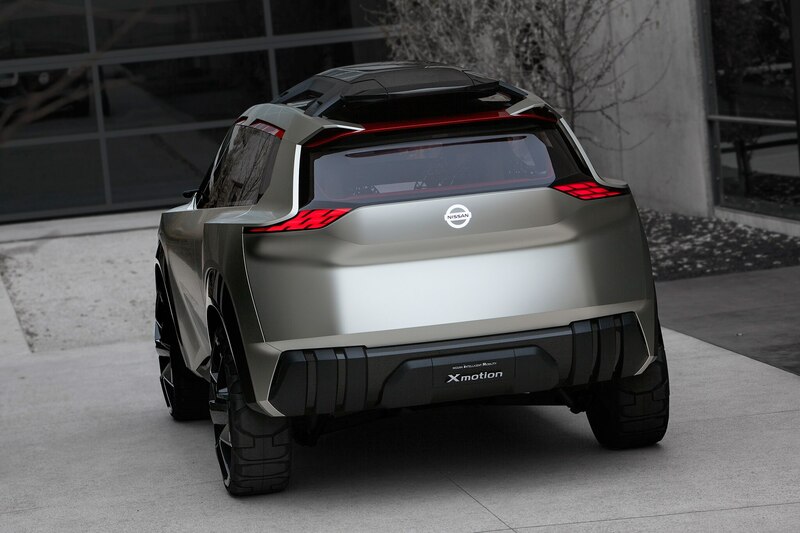 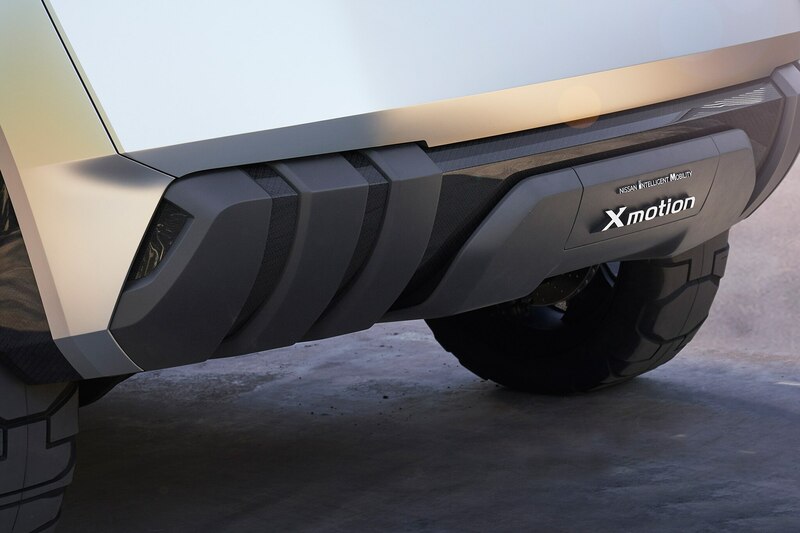 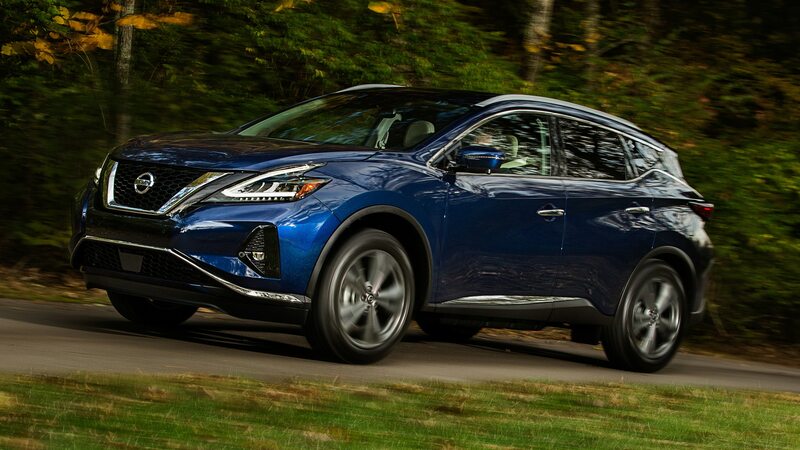 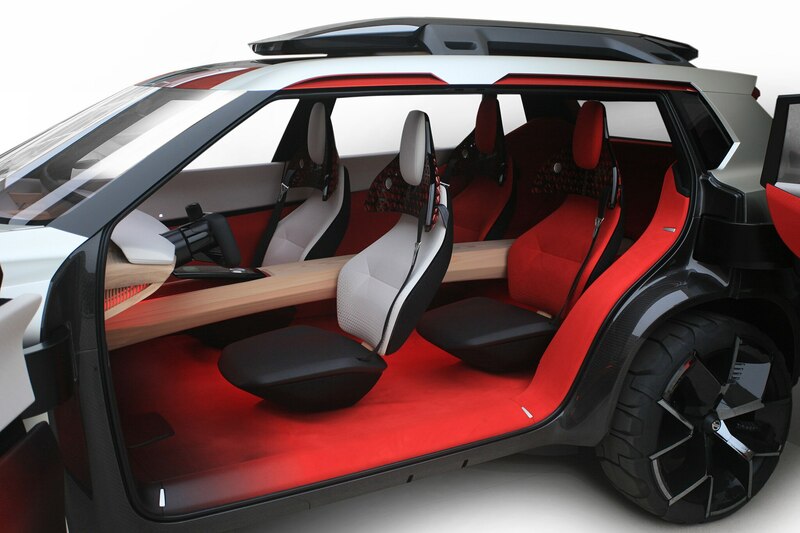 At 180.7 inches long, 76.4 inches wide, and 66.9 inches tall, the Xmotion Concept is about the same size as the Nissan Rogue, putting squarely at the heart of the compact crossover class in terms of dimensions. 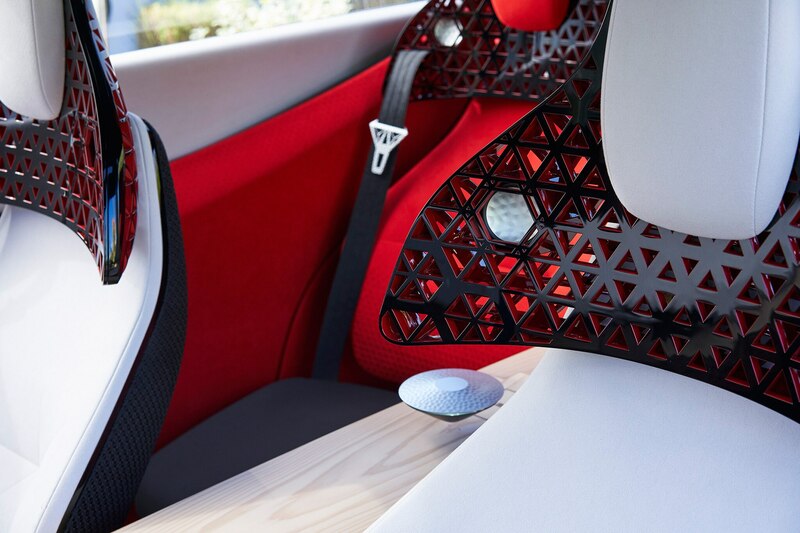 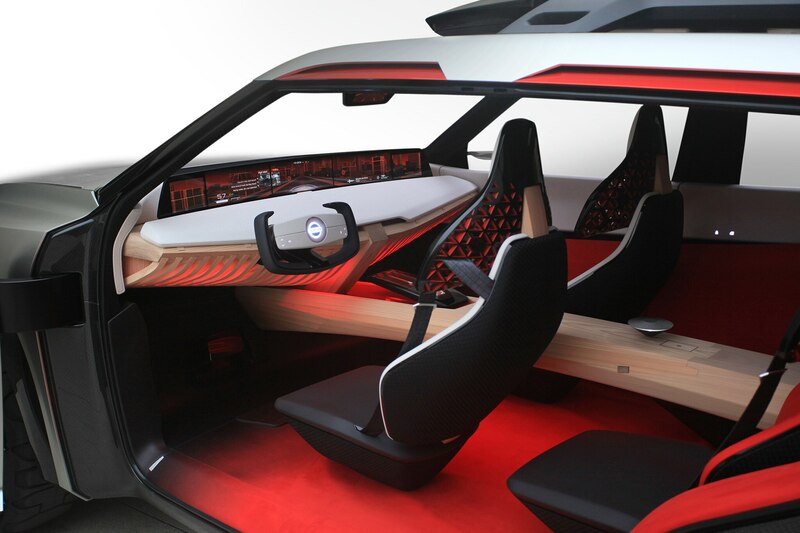 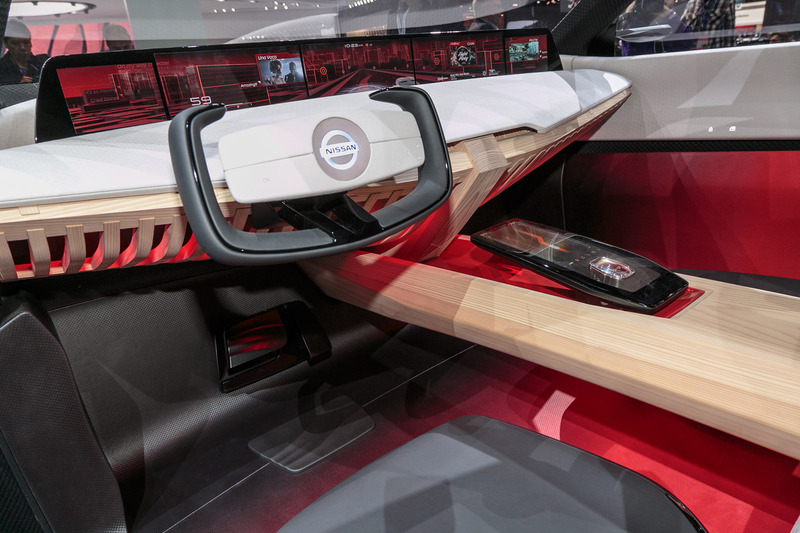 Inside, the Nissan Xmotion Concept features an interior inspired by Japanese landscape with a floor that’s supposed to represent a river and a center console mimicking a bridge. 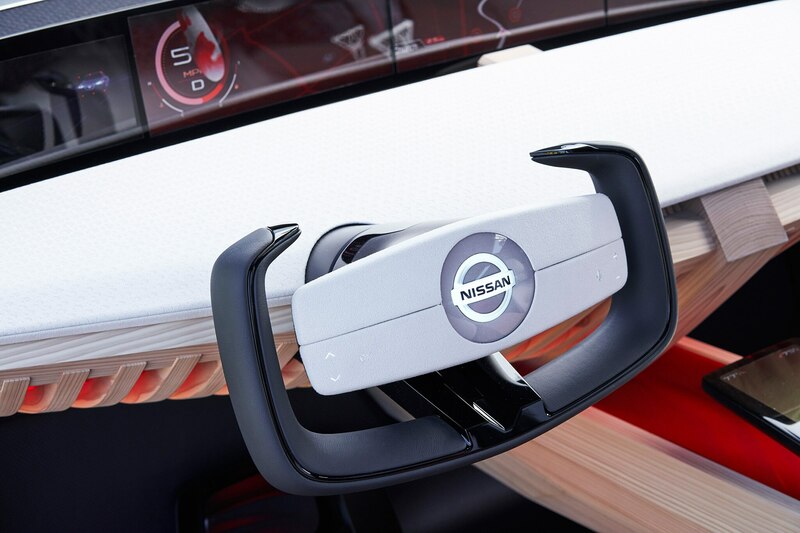 Nissan says that the three-row Xmotion Concept features a 4+2 layout thanks to six individual seats instead of the normal three-row layout, which usually includes a bench in the second row. 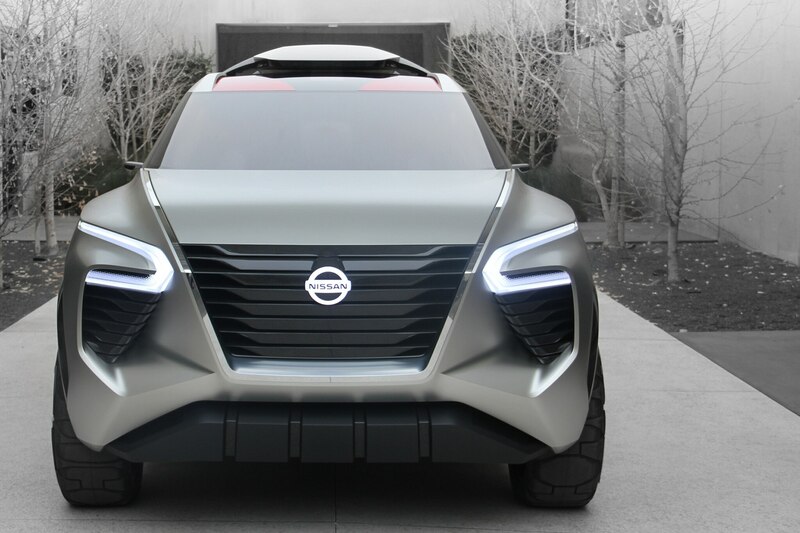 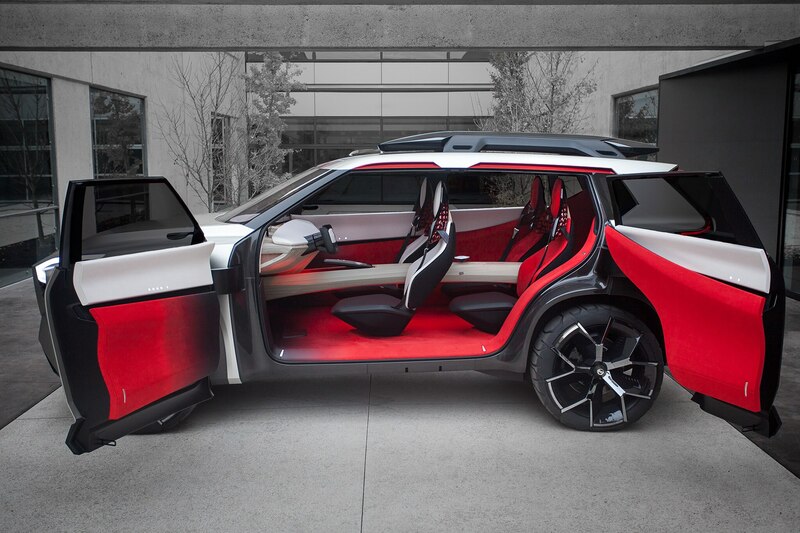 Albaisa says that the automaker is envisioning this concept as a practical crossover that’s usable every single day. 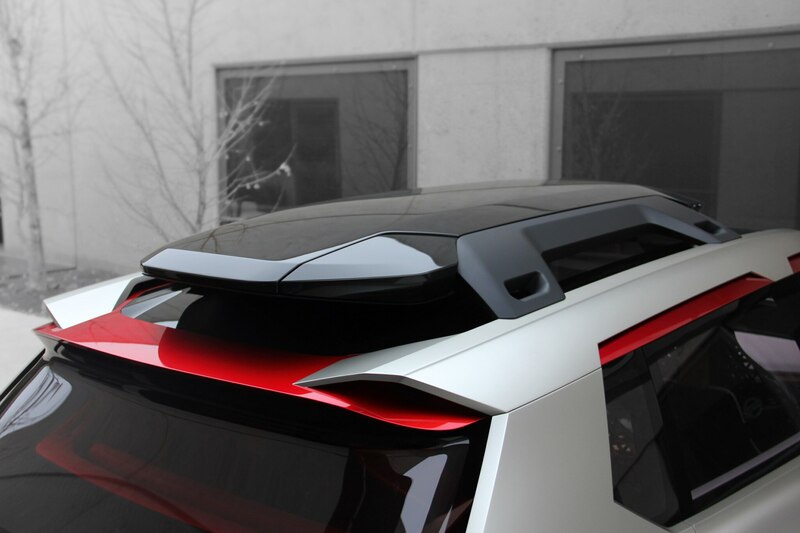 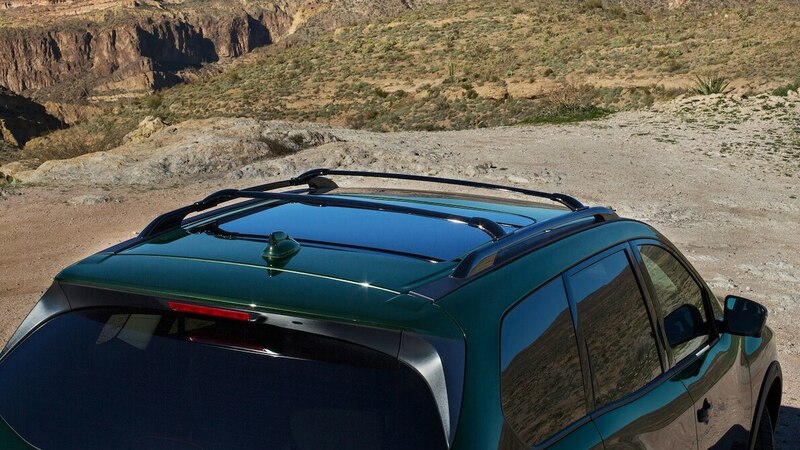 It also features a retractable rooftop box for additional storage and was designed to ensure that it fit enough equipment while still remaining aerodynamic. 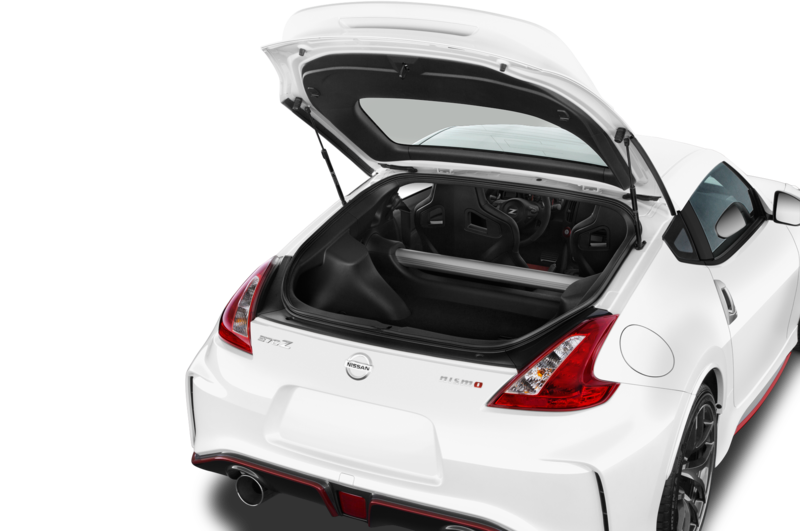 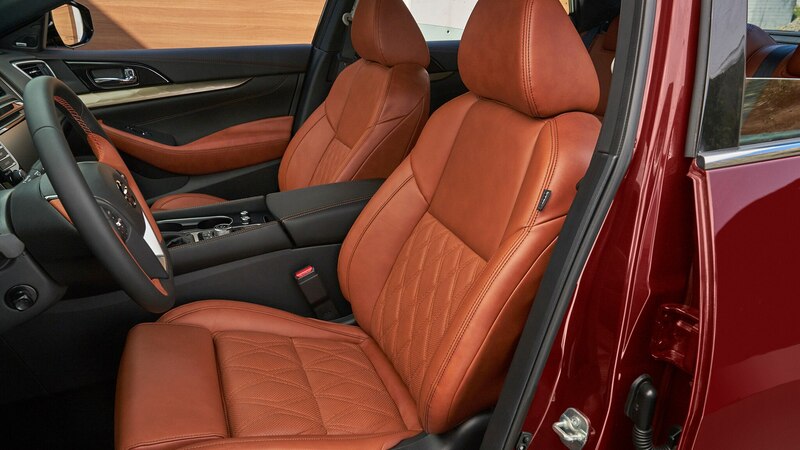 Other key design cues include genuine wood trim taken from a single Japanese cedar tree from the Yamagata Prefecture in Japan. 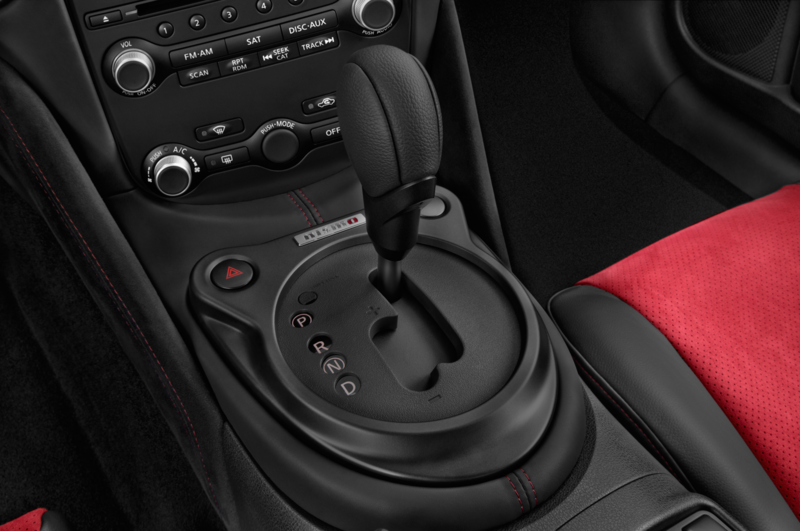 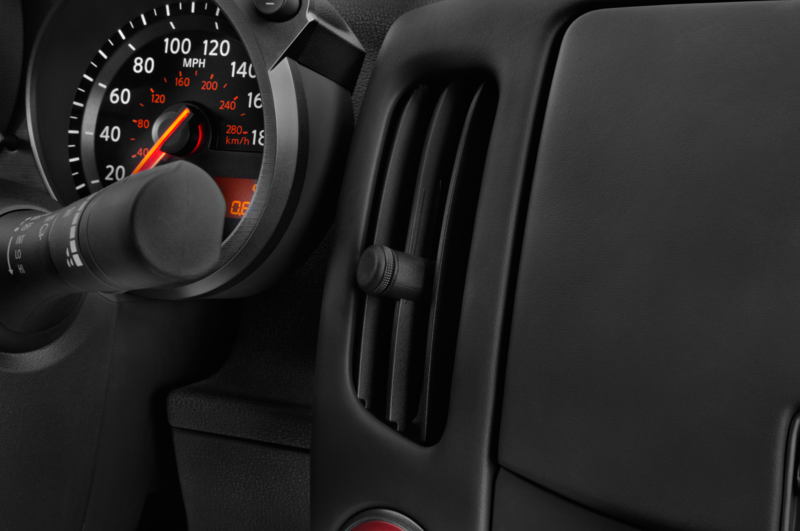 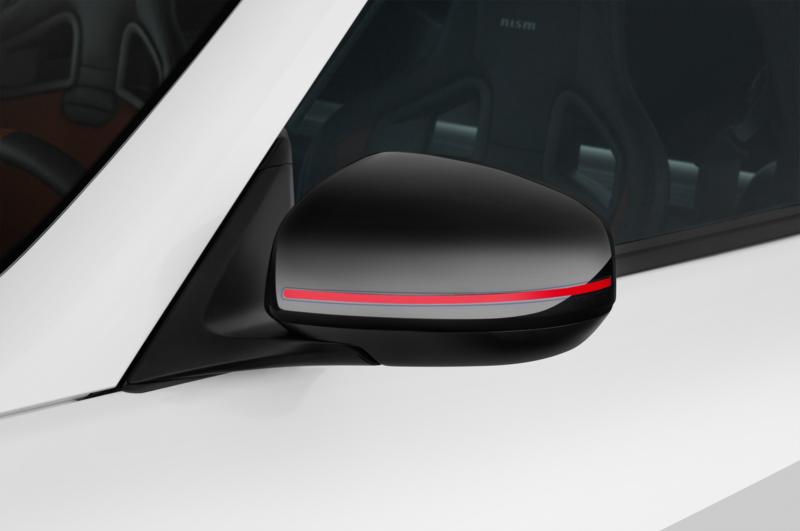 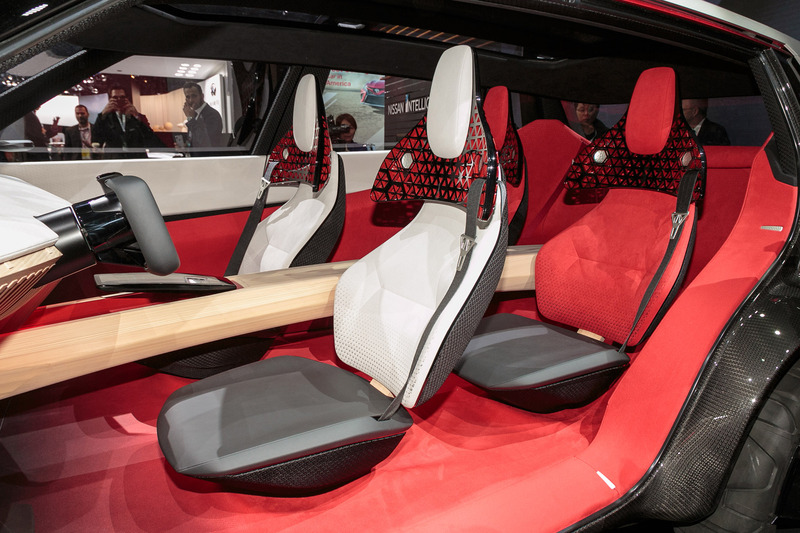 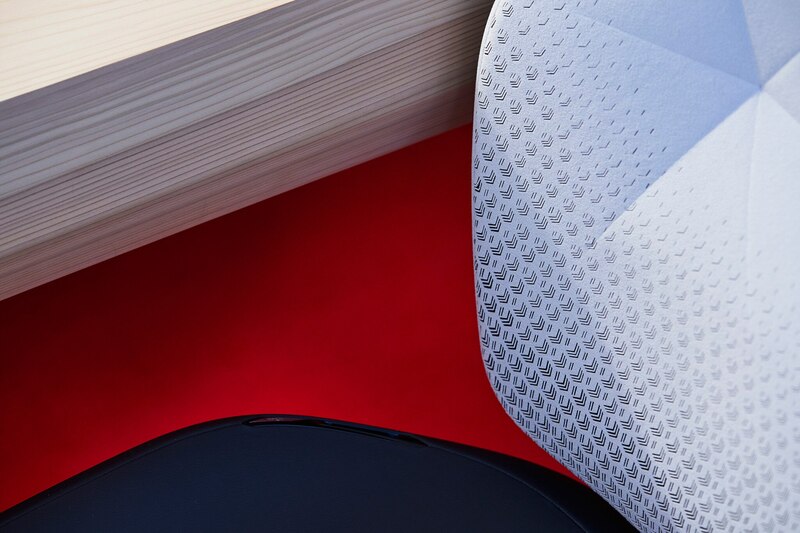 Even the interior colors are inspired by Japanese culture with red and white representing the Japanese flag and black accents representing technology. 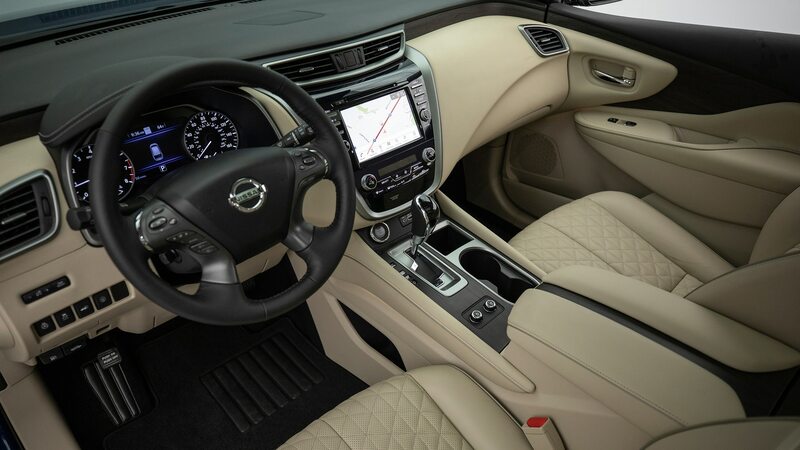 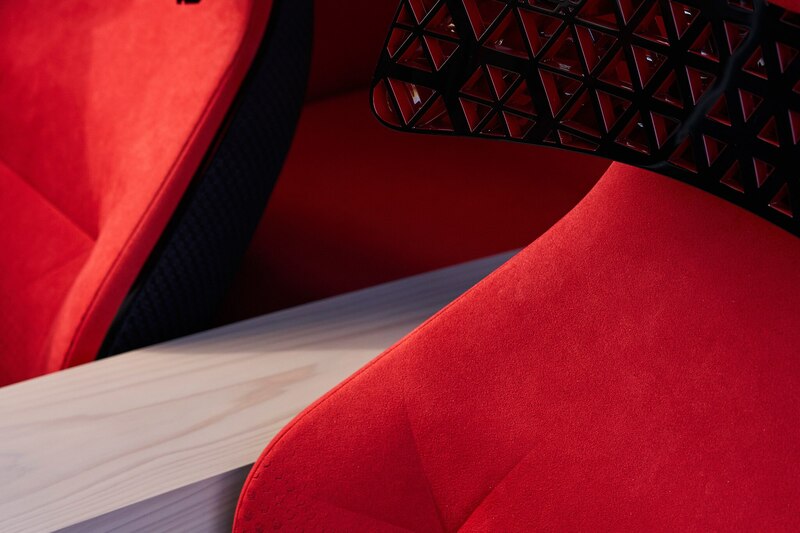 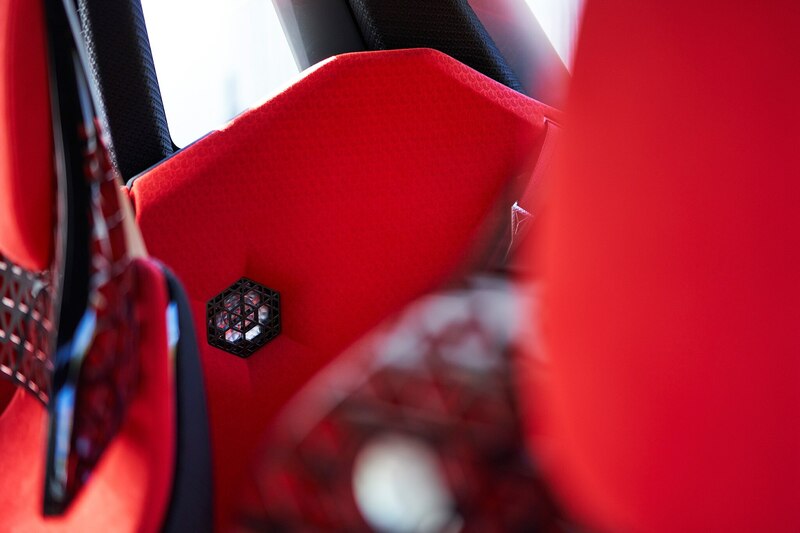 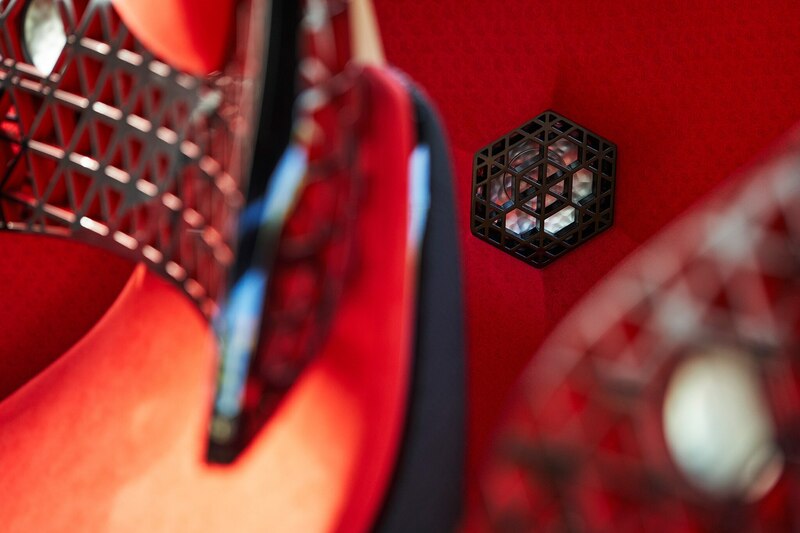 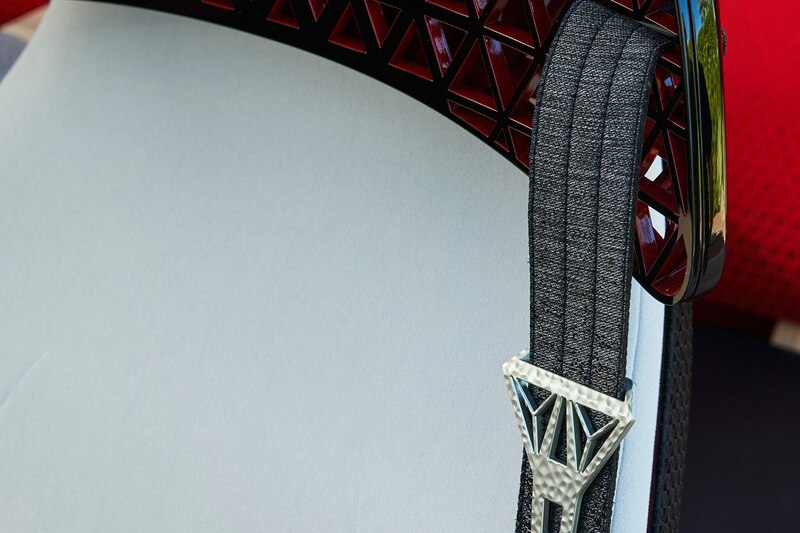 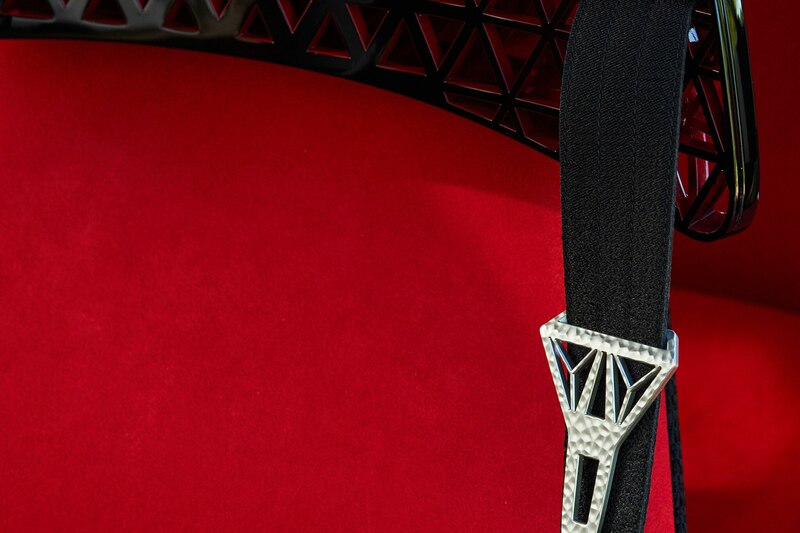 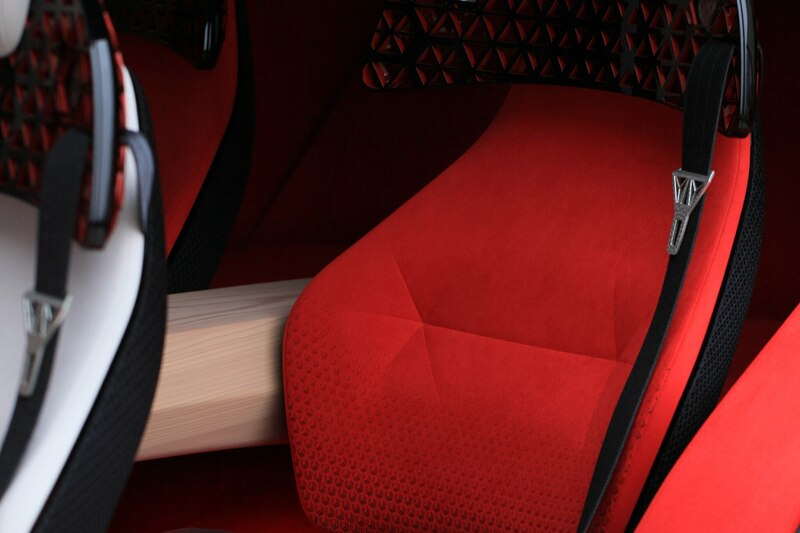 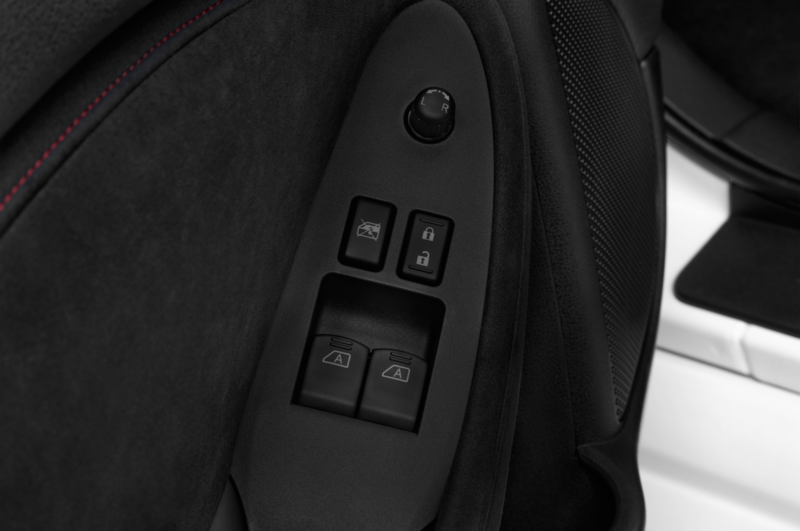 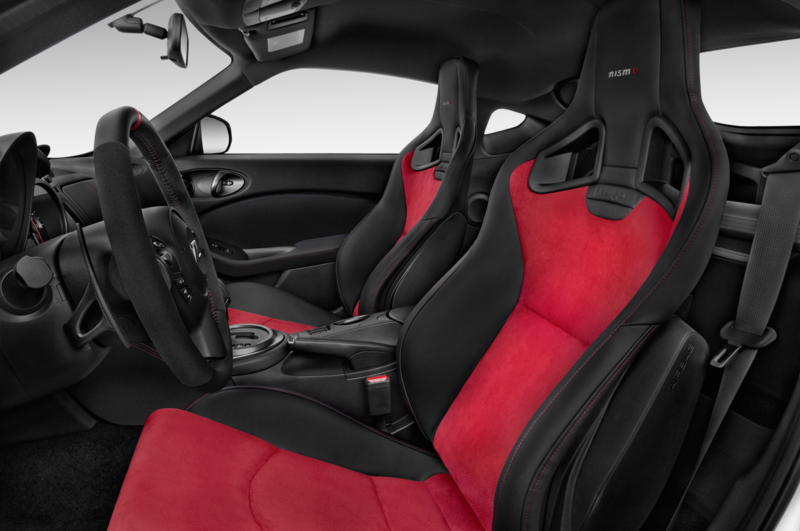 Printed suede and laser-embossed suede are used throughout the cabin and are accented by Nishijin-weave carbon fiber. 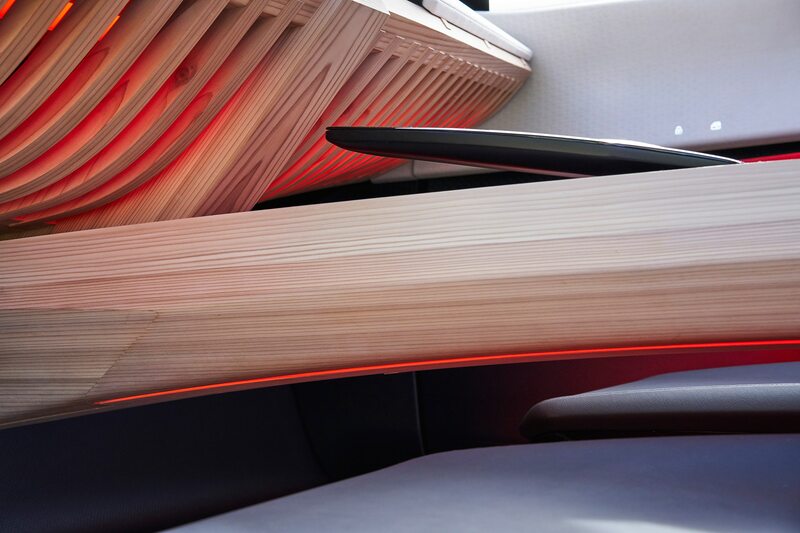 The color patterns in the cabin are inspired by utsuroi or “gradual transitions” with the three main colors, red, black, and white, blending together harmoniously. 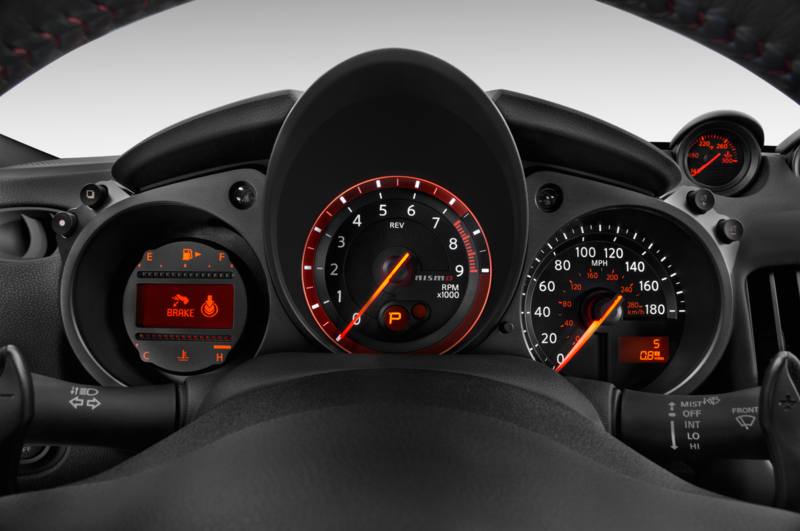 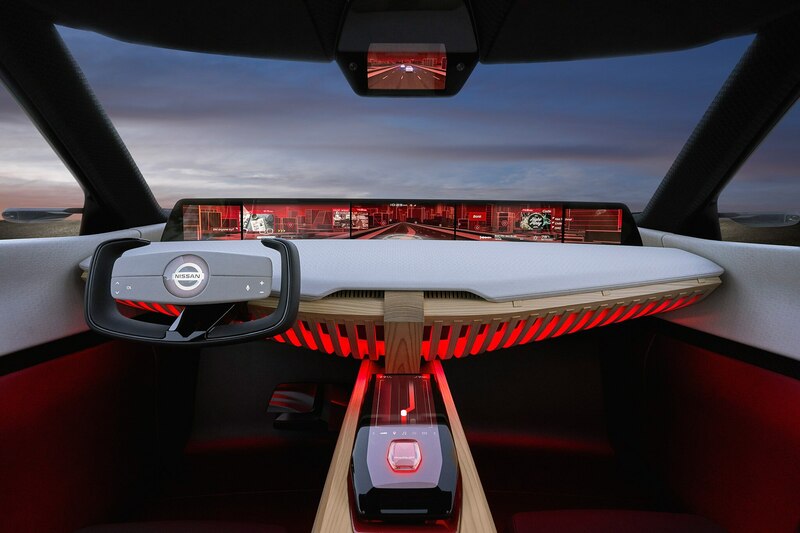 There are a total of seven screens in the Nissan Xmotion Concept with three main displays, plus left and right end displays that span the width of the car’s instrument panel. 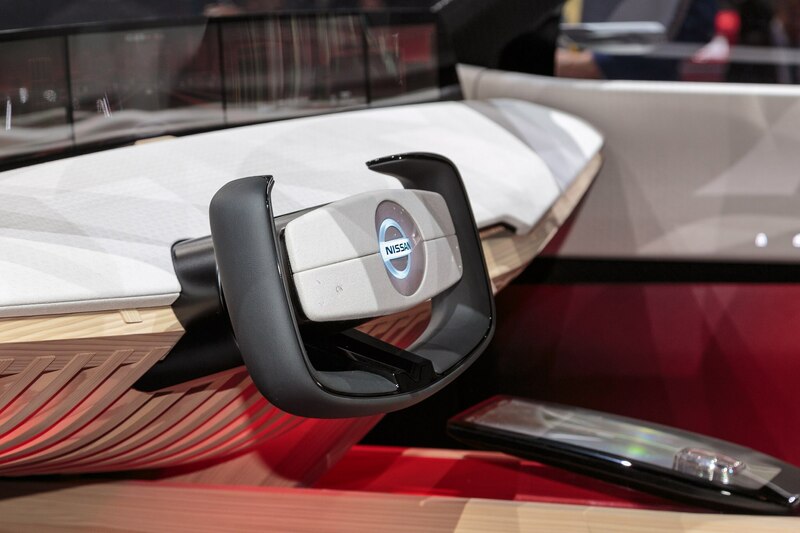 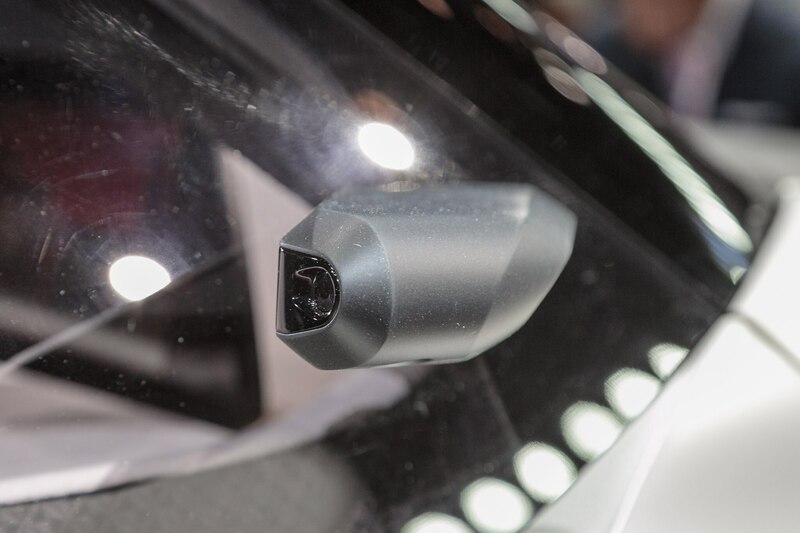 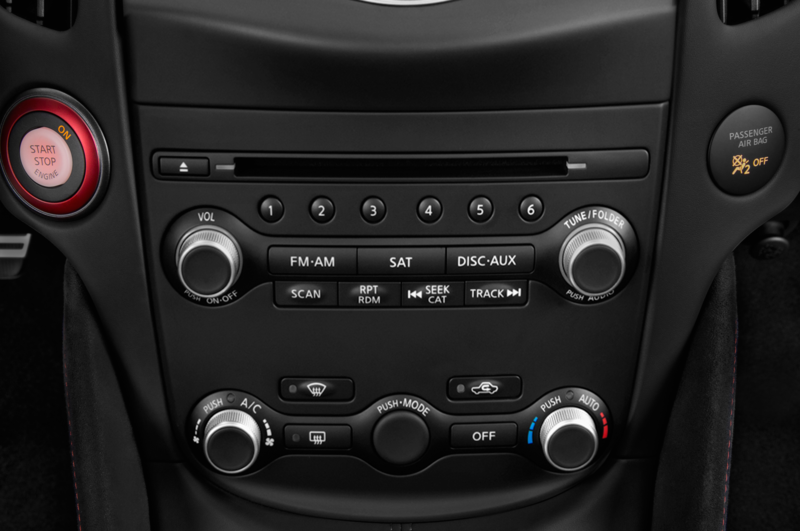 It can be controlled via gestures, eye movements, and voice to allow the driver to focus on driving while giving them the ability to safely access the infotainment system. 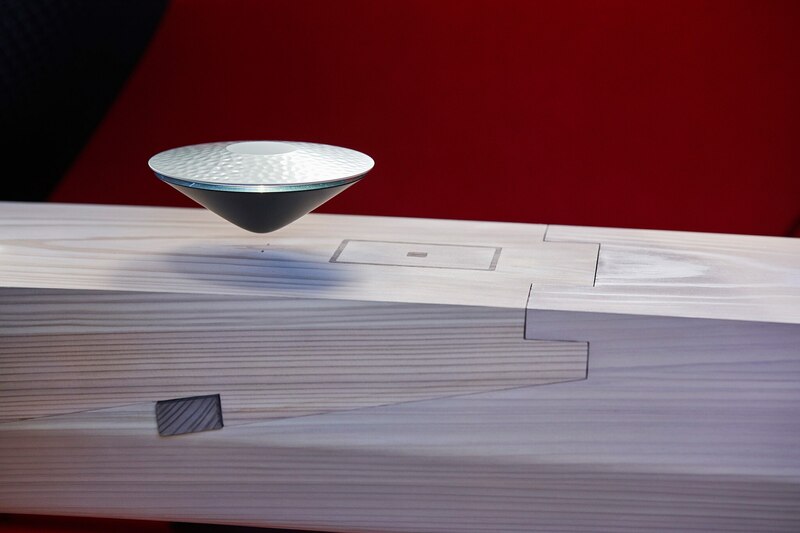 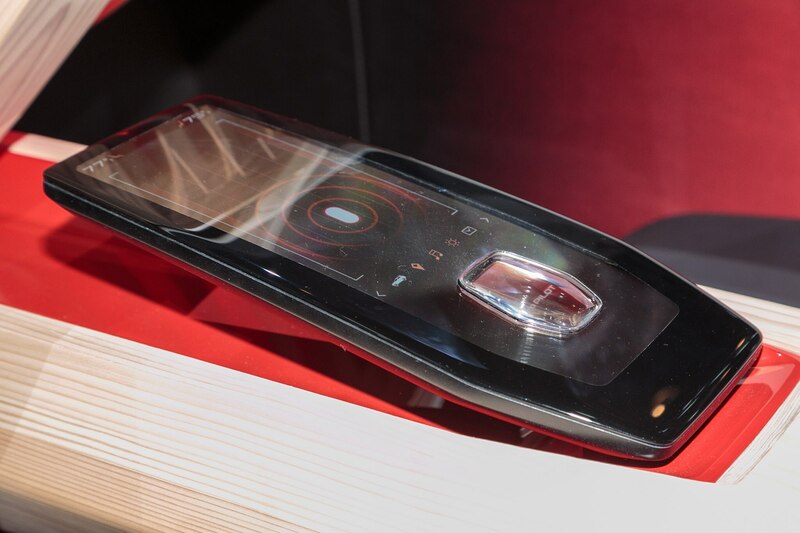 One of the key features of the Xmotion Concept’s infotainment system is the so-called “Floating Koi” a virtual personal assistant that takes the form of a koi fish that pops up on the main screen. 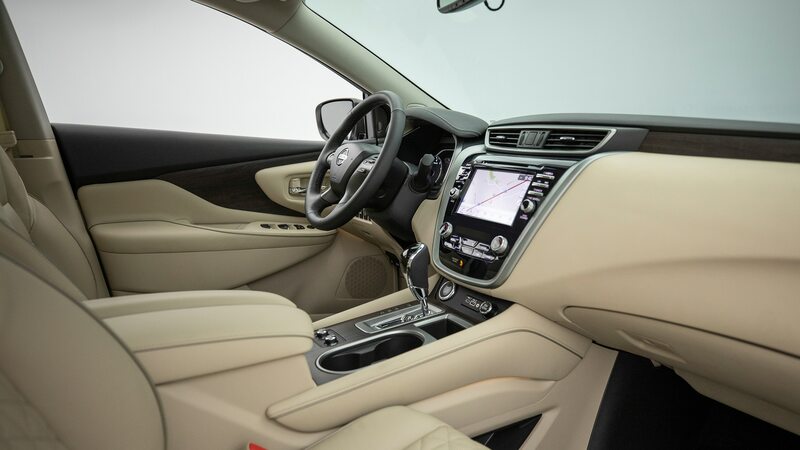 Once a smartphone is linked to the car, the navigation system can automatically recognize destinations and even pull up useful information such as the weather and music. 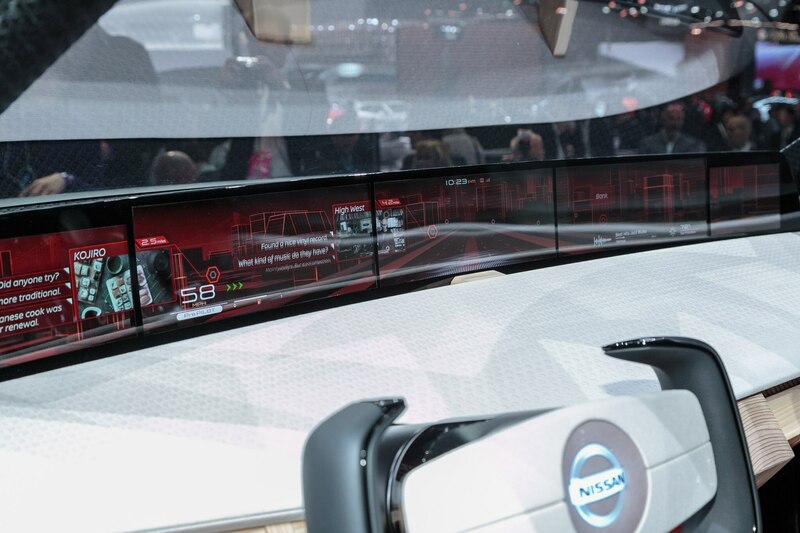 The virtual assistant can also pull up points of interest on your route and browse for information while you’re on the road even when the car is driving autonomously.